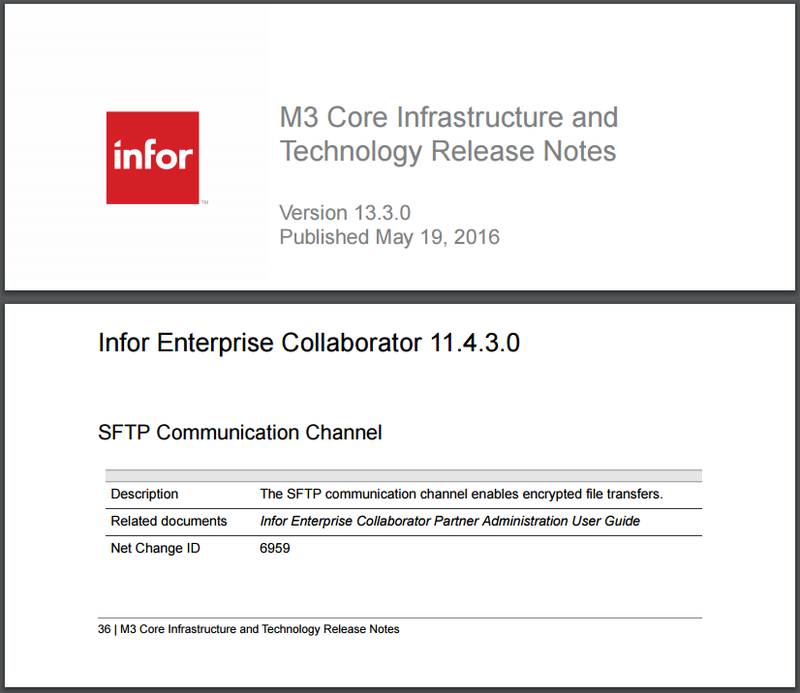 Infor M3 Enterprise Collaborator (MEC) now includes support for SSH FTP (SFTP), a secure file transfer protocol. 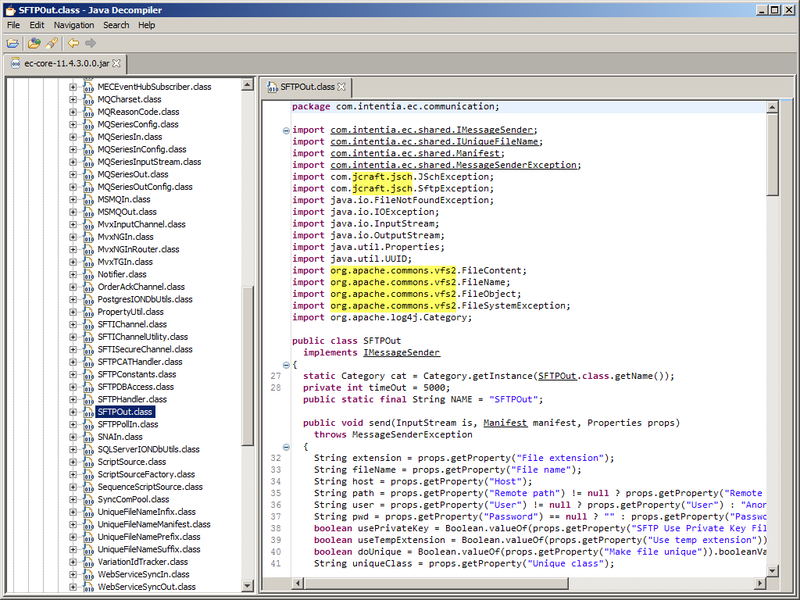 Plain FTP does not provide security properties such as confidentiality (against eavesdropping) and integrity (against tampering). 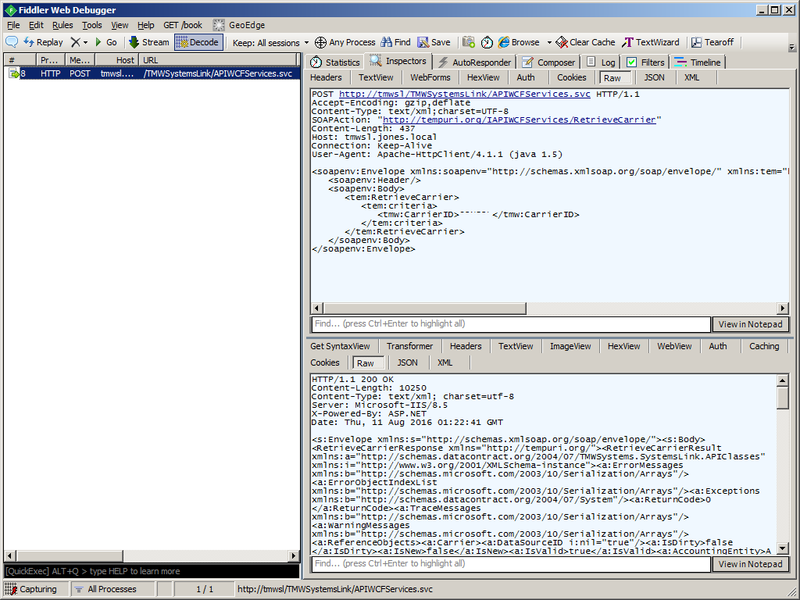 FTP provides authentication, but it is plain text. As such, plain FTP is insecure and strongly discouraged. Even coupled with PGP file encryption and signature verification to protect the contents of the file, the protocol, the credentials, the files and the folders are still vulnerable. 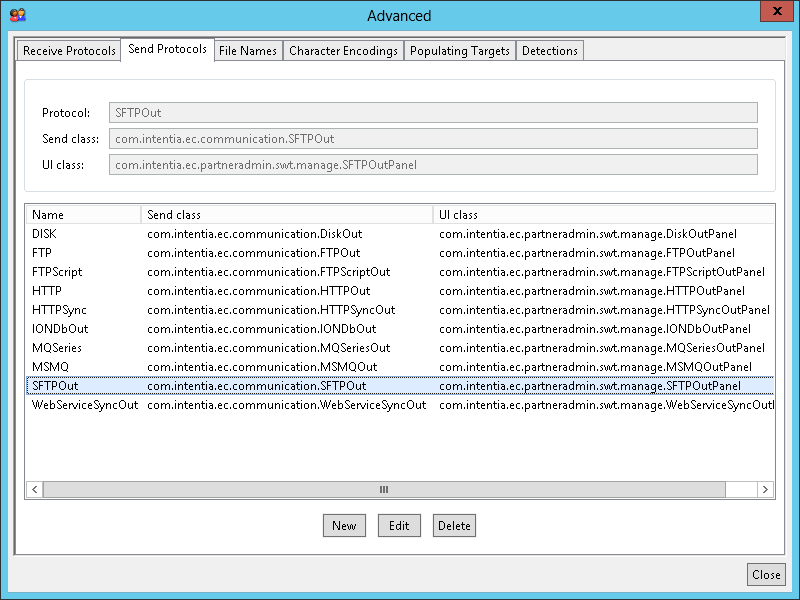 On the other hand, SFTP provides secure file transfer over an insecure network. 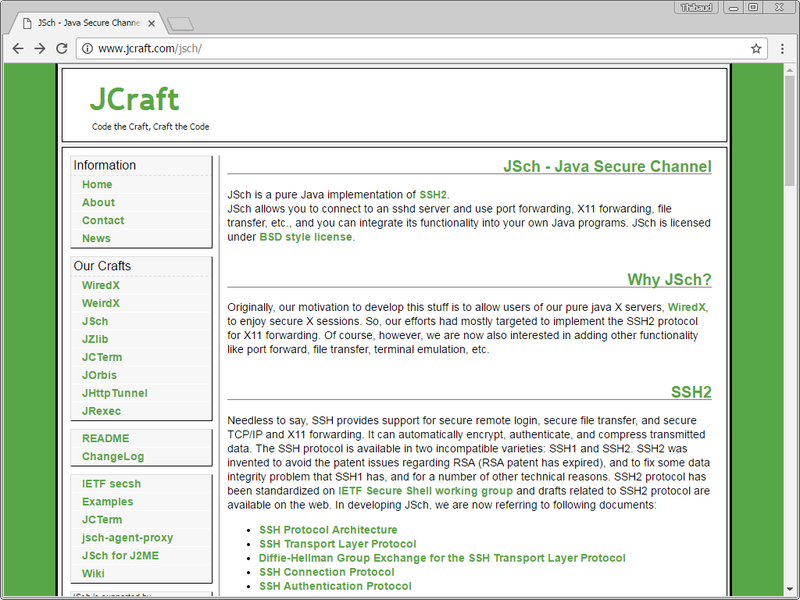 SFTP is part of the SSH specification. This is what I will explore in this post. 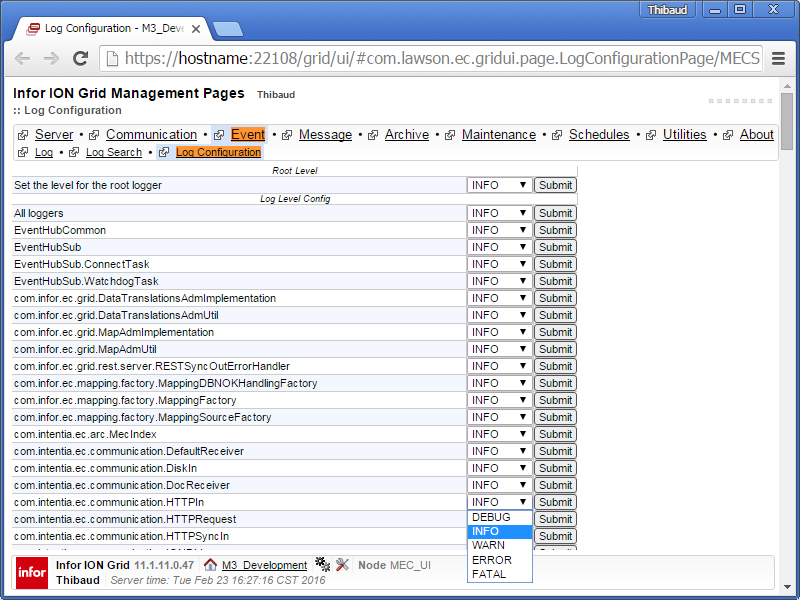 There is also FTPS (also known as FTP-SSL and FTP Secure). Maybe I will explore that in another post. 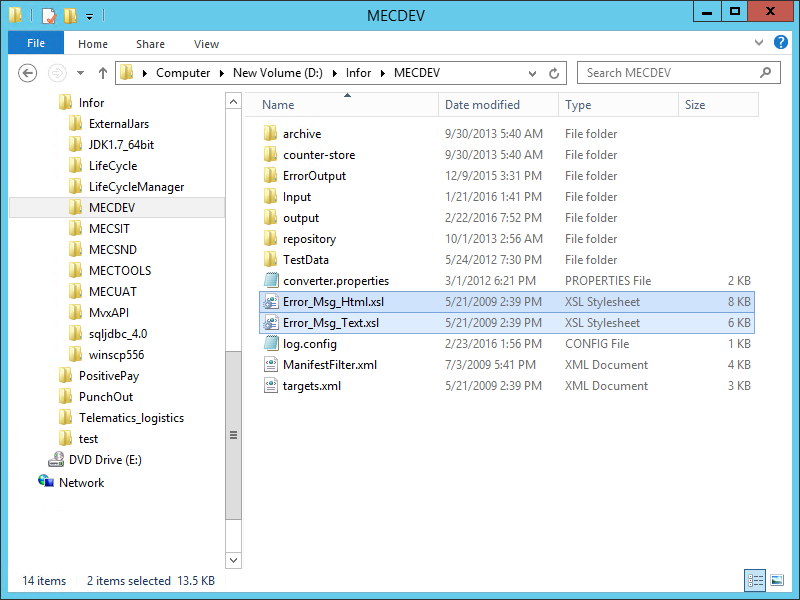 If you have MEC 11.4.2.0 or earlier, your MEC does not have full built-in support for SFTP or FTPS. 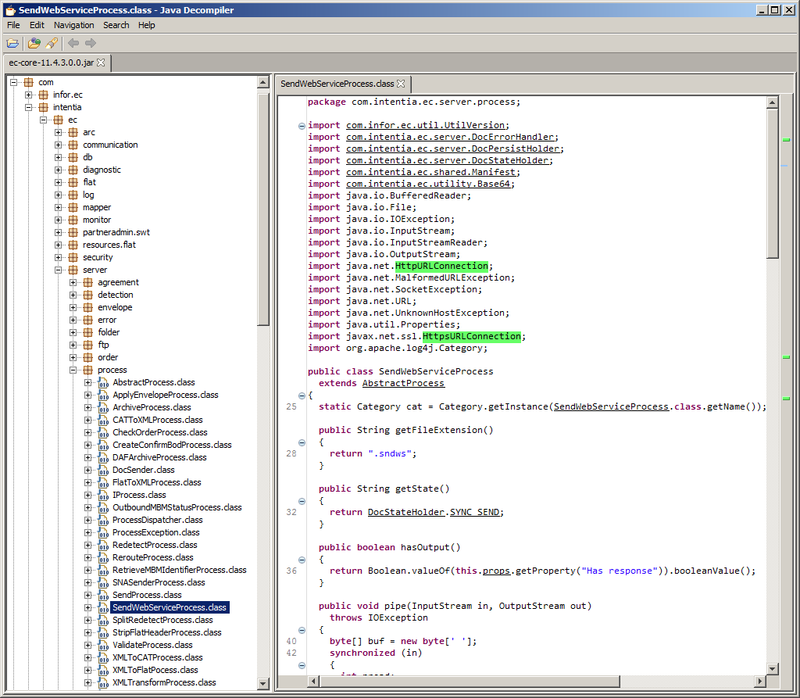 I found some traces in MEC 10.4.2.0, 11.4.1 and 11.4.2. 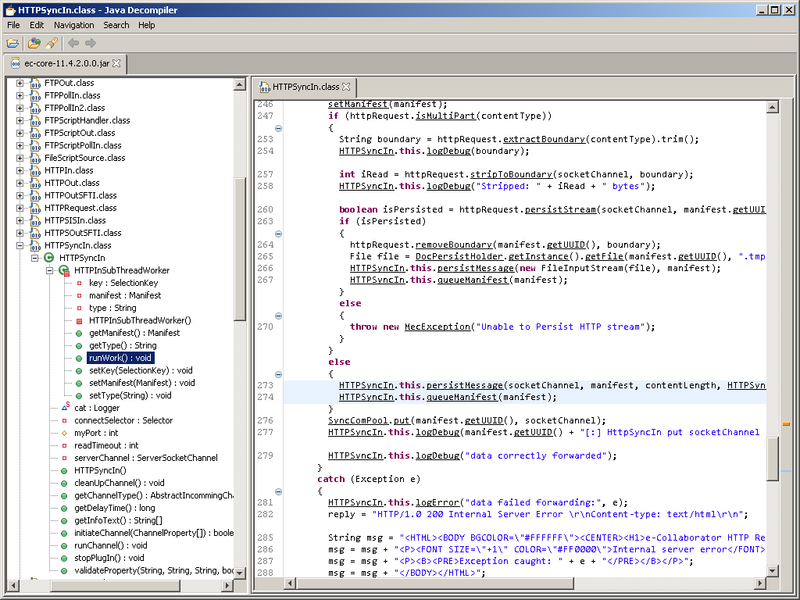 And I was told that support for SFTP was made as a plugin sort of, in some MEC 9.x version; maybe they meant FTPS. Anyway, if you are handy, you can make it work. 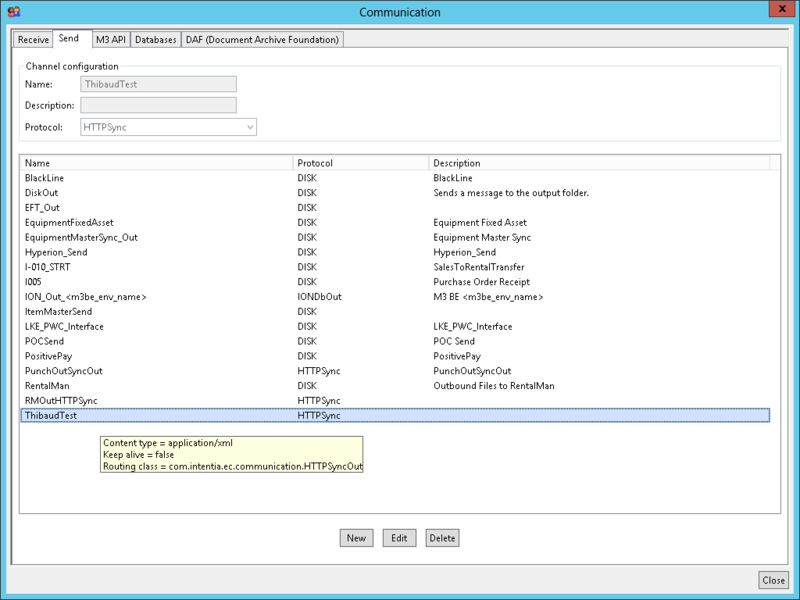 Or you can manually install any SFTP/FTPS software of your choice and connect it to MEC. Do not wait to secure your file transfers. 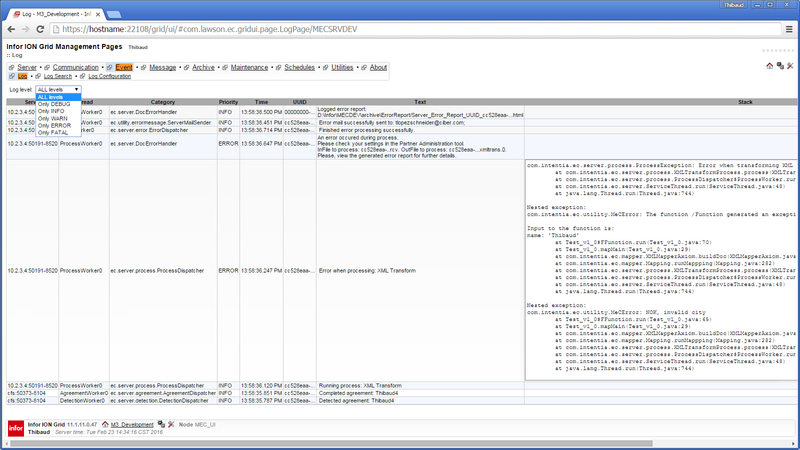 MEC 11.4.3.0 comes with built-in support for SFTP, and I found traces of FTPS. Unfortunately, it did not yet ship with documentation. I was told a writer is documenting it now. Anyway, we can figure it out by ourselves. Let’s try. 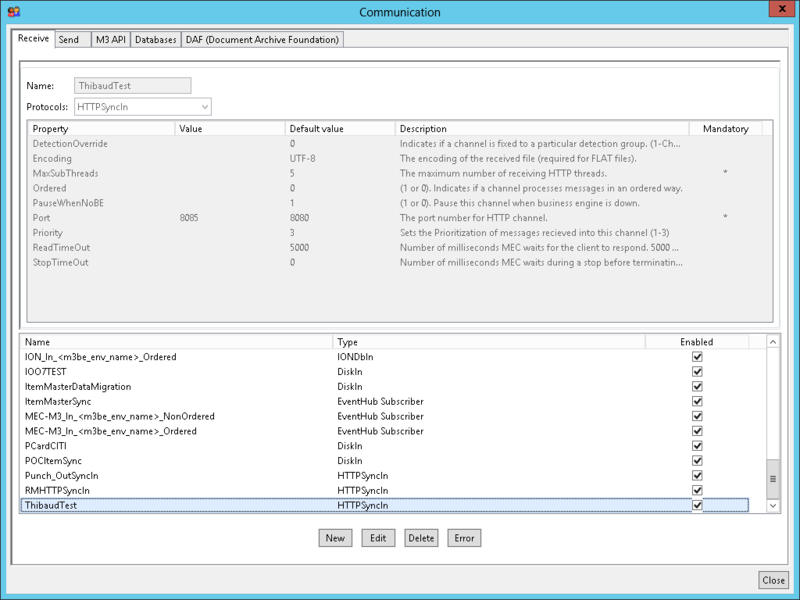 In this post, I will explore the SFTPOut channel in MEC which is an SFTP client for MEC to exchange files with an existing SFTP server. 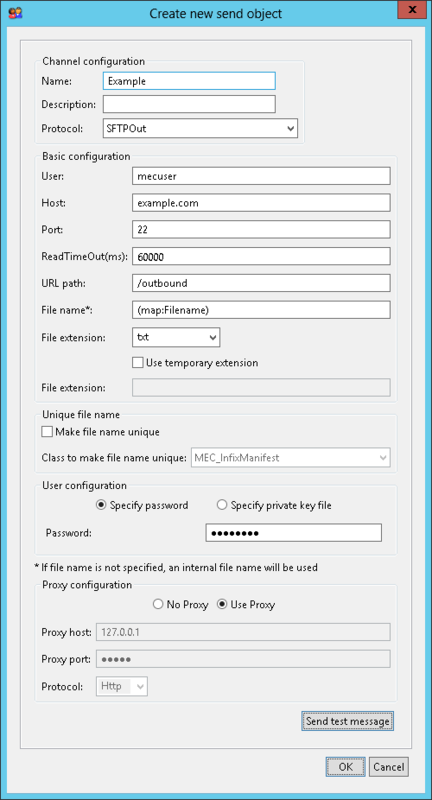 Prior to setting up MEC SFTPOut, we have to ensure our MEC host can connect to the SFTP server. 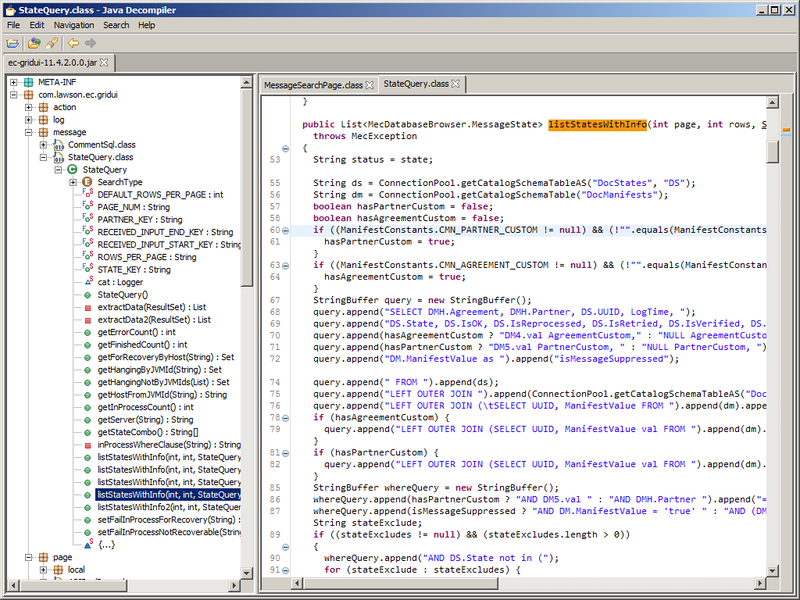 In my case, I am connecting to example.com [11.22.33.44], on default port 22, with userid mecuser, and path /outbound. 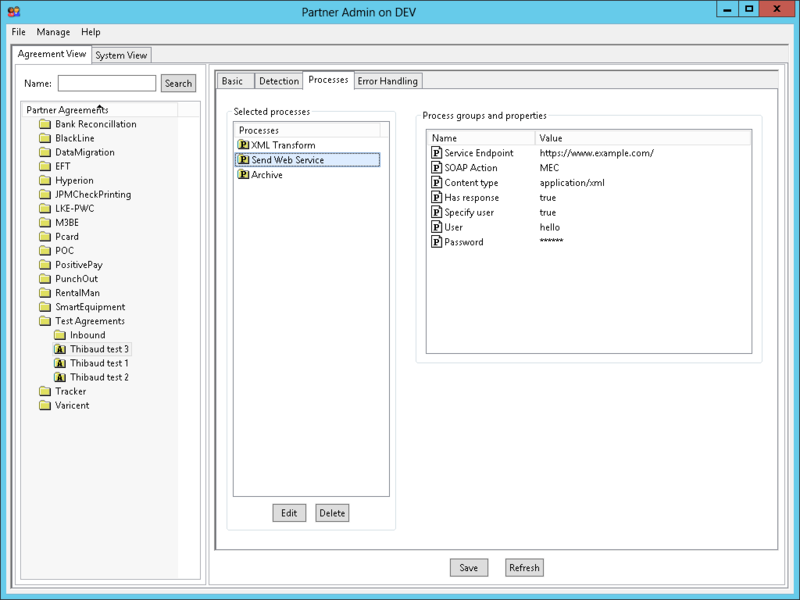 Contact the SFTP server administrator to get the values, and eventually contact the networking team to adjust firewall rules, name servers, etc. 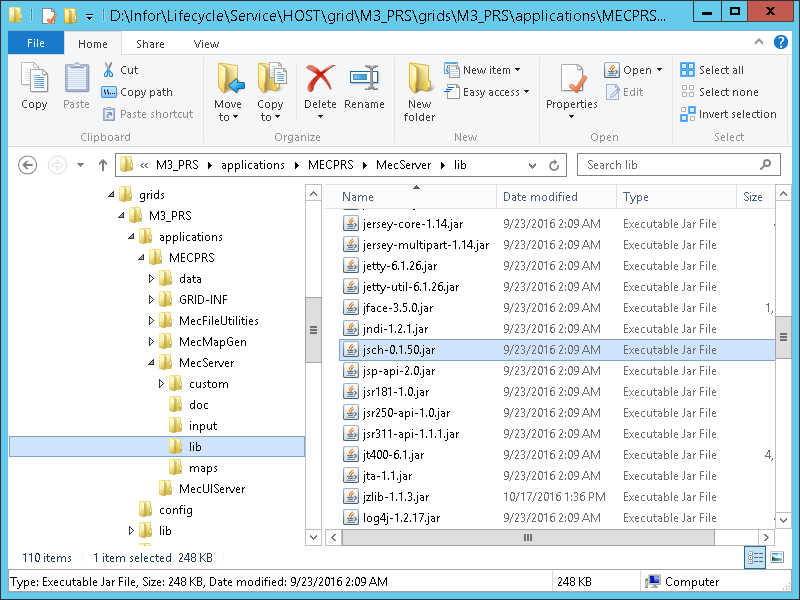 Those tests confirm our MEC host can successfully connect to the SFTP server, authenticate, and exchange files (in my case I have permissions to put and retrieve files, not to remove files). 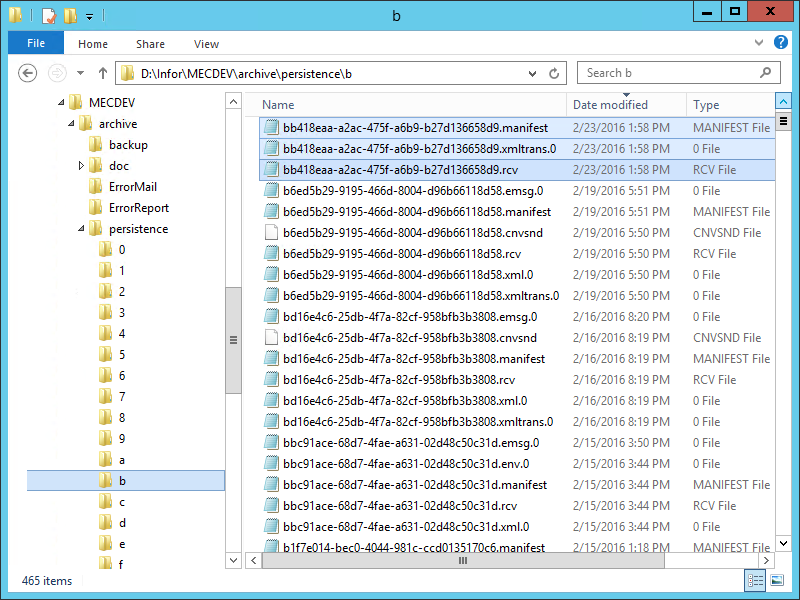 Now, we are ready to do the same SFTP in MEC. I have not yet played with all the file name options. 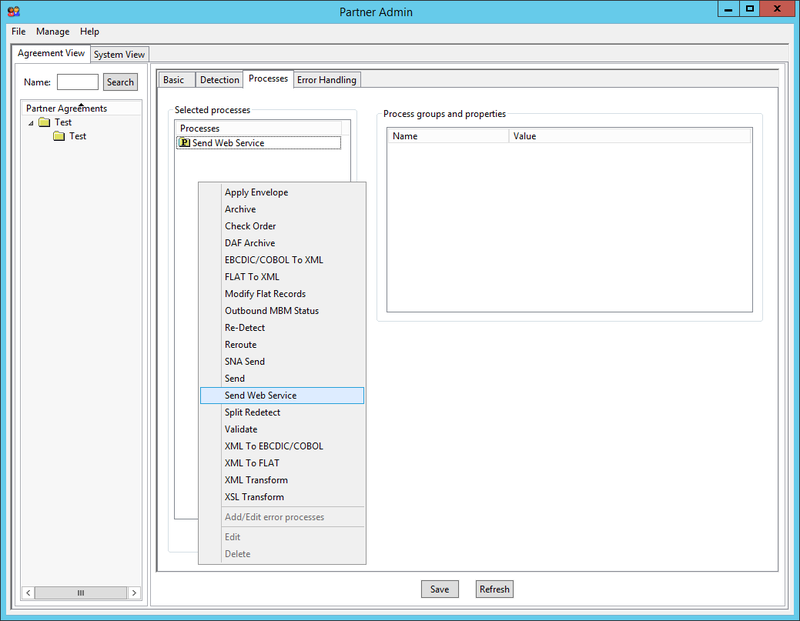 The option for private key file is for key-based client authentication (instead of password-based client authentication). For that, generate a public/private RSA key pair, for example with ssh-keygen, and send the public key to the SFTP server administrator, and keep the private key for MEC. 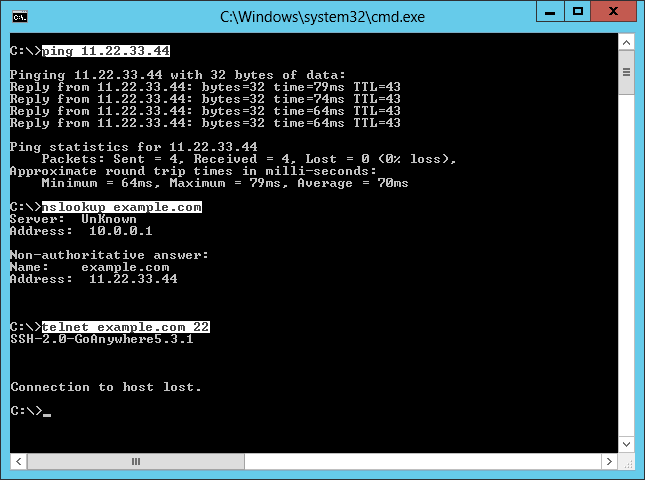 The proxy settings are useful for troubleshooting. Now, we are ready to use the channel as we would use any other channel in MEC. 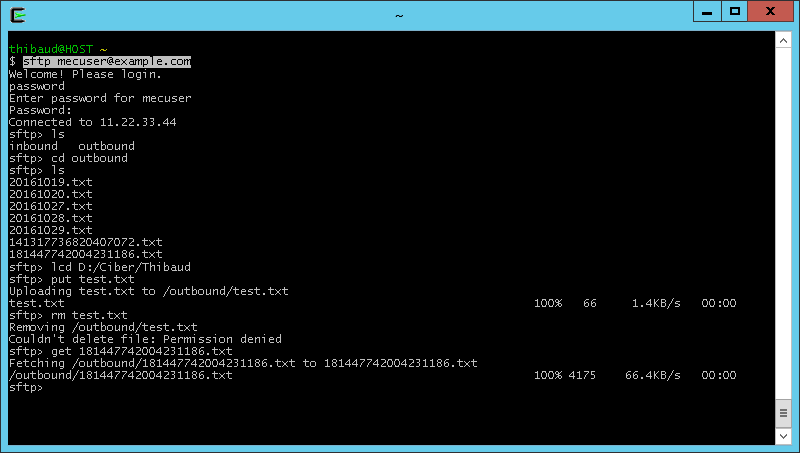 The SFTPOut channel does not allow us to verify the key fingerprint it receives from the SFTP server. Depending on your threat model, this is a security vulnerability. 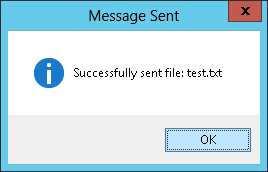 At first, I could not get the Send test message to work because of the unique file name (I am not familiar with the options) and the jzlib JAR file (see below). 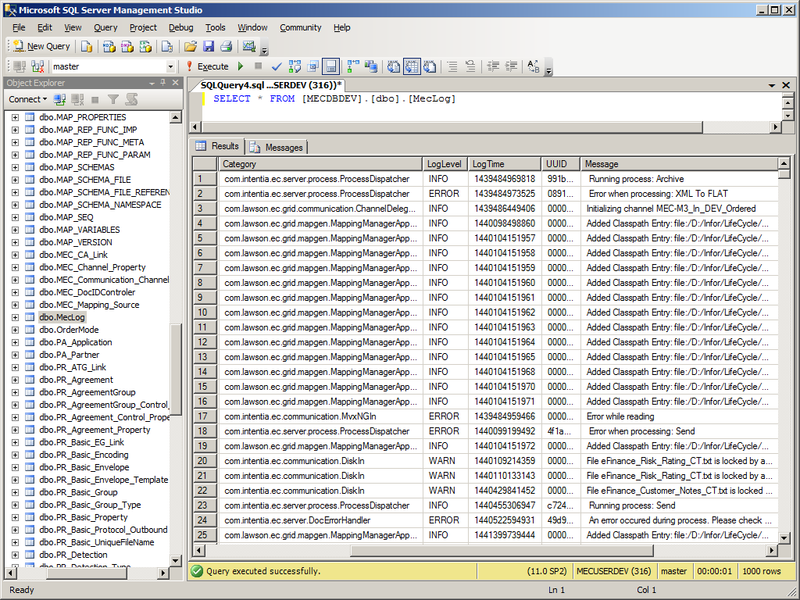 Passwords are stored in clear text in the database, that is a security vulnerability yikes! 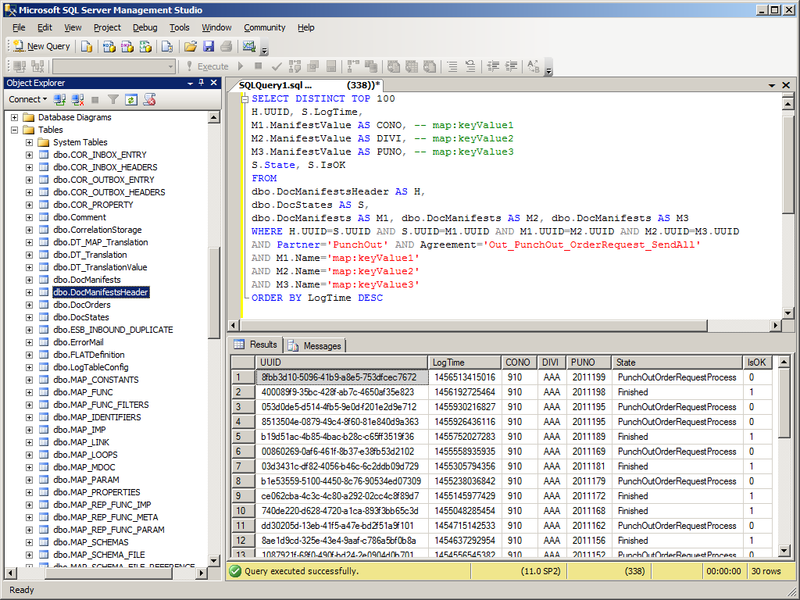 SELECT PropValue FROM PR_Basic_Property WHERE PropKey='Password' . 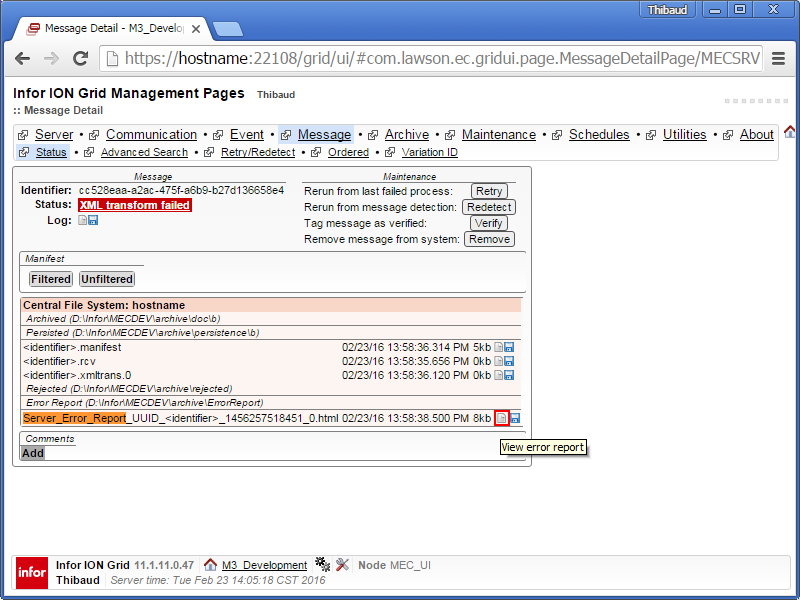 I was told it should be fixed in the Infor Cloud branch, and is scheduled to be merged back. With the proxy (Fiddler in my case), I was only able to intercept a CONNECT request, nothing else; I do not know if that is the intention. 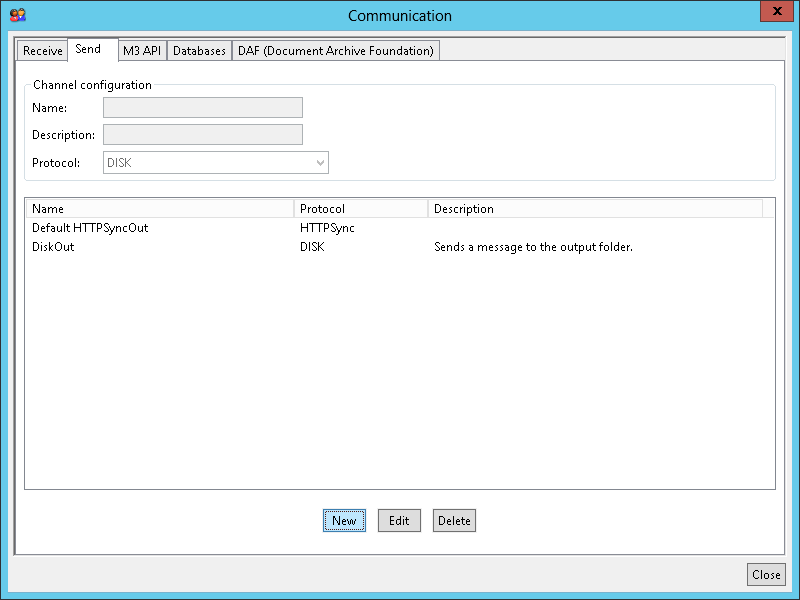 This was an introduction about MEC’s support for SFTP, and how to setup the SFTPOut channel for MEC to act as an SFTP client and securely exchange files with an existing SFTP server. There is more to explore in future posts. Please like, comment, subscribe, share, author. Thank you. 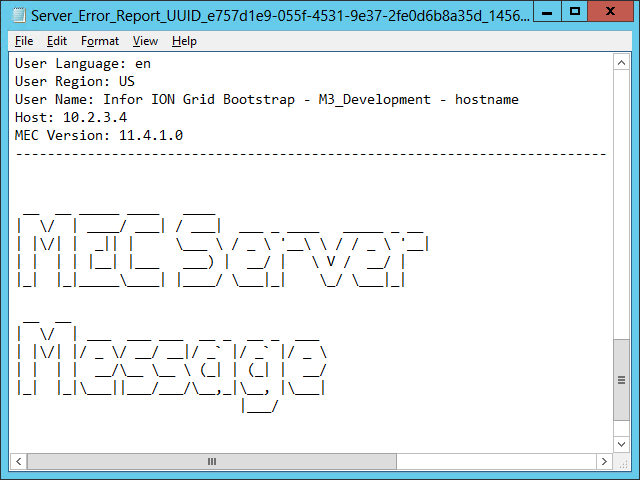 I will re-visit the HTTPSOut communication channel of Infor M3 Enterprise Collaborator (MEC) as a follow-up of my previous post part 5. 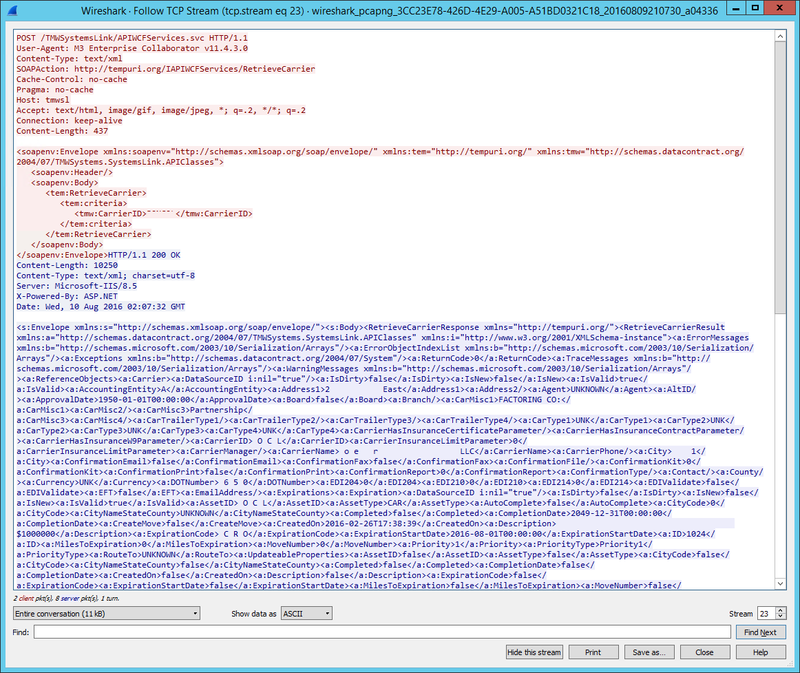 TLDR; I stopped using the HTTPSOut channel for its various problems. 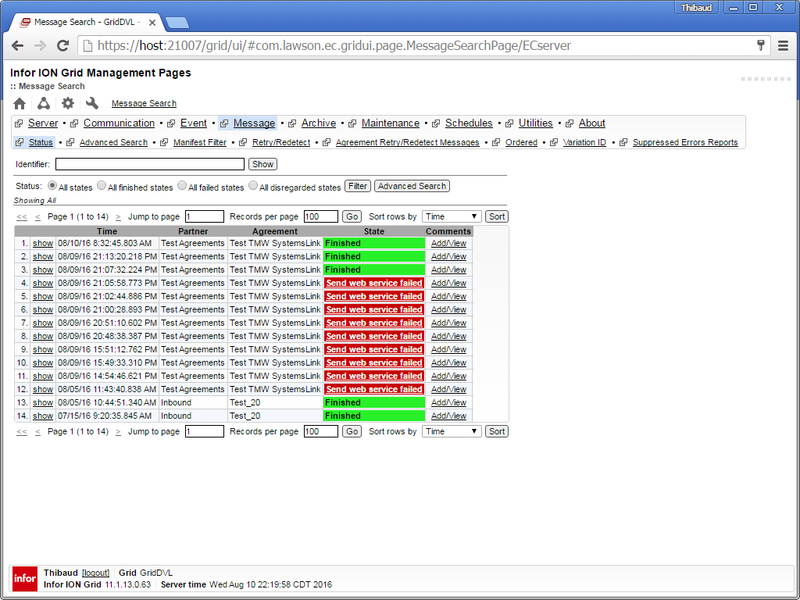 Now, I use the Send Web Service process. 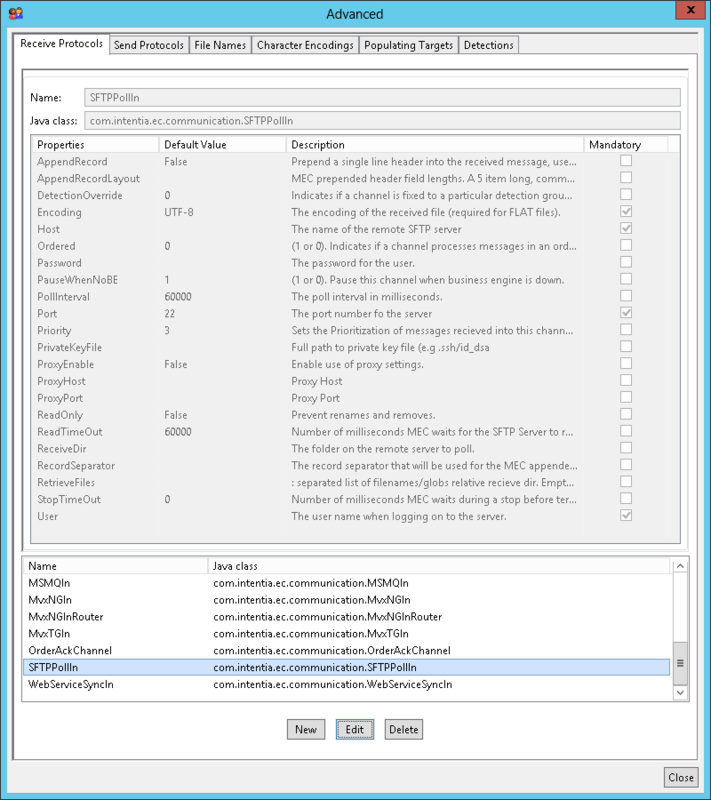 In part 5, I had used the sample HTTPSOut channel from the MEC documentation, for MEC to make HTTPS requests, but it turned out to have a variety of problems. 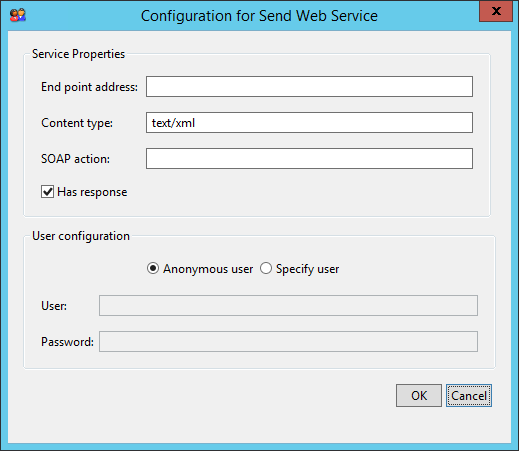 Then, in a previous post I had explored the Send Web Service process for MEC to make SOAP requests, and I had realized it can be used for any content, not just for SOAP. I will explore that here. 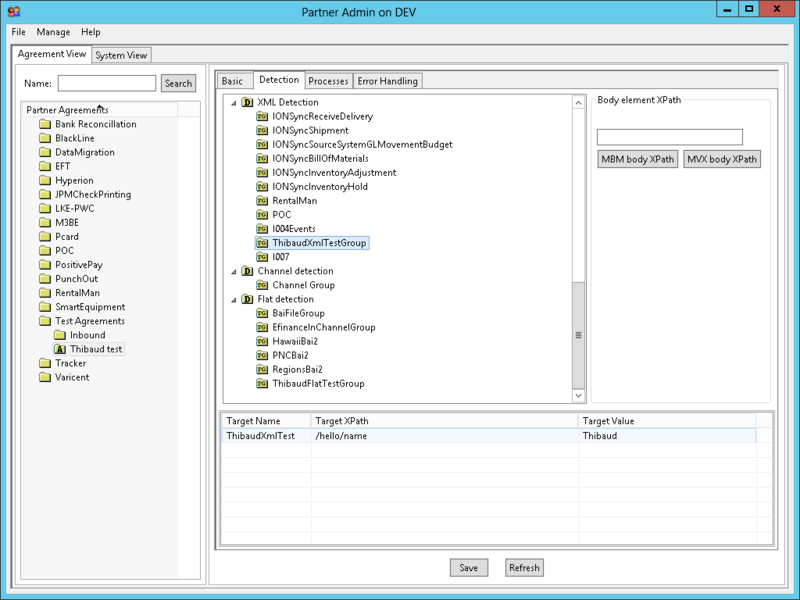 The process will use Java’s HttpsURLConnection and its default hostname verifier and certificate validation. 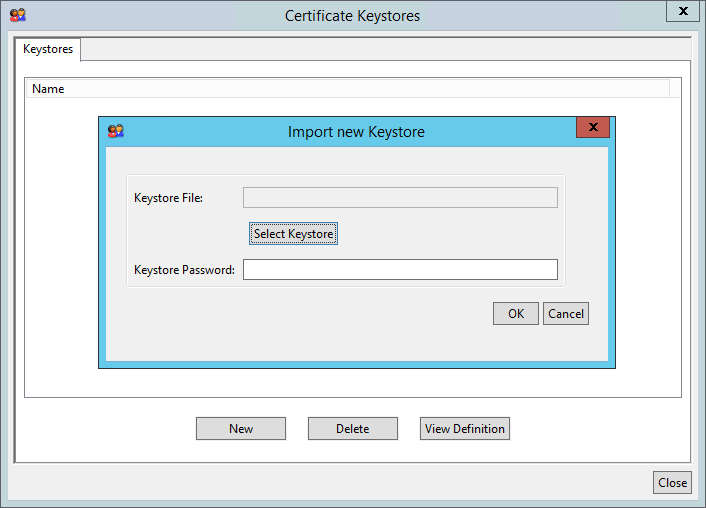 If the URL endpoint uses a certificate that is not part of the MEC JRE truststore, you will have to add it with keytool import (see part 5). In MEC, the processes are piped in order: the output of one process is the input of the next process. 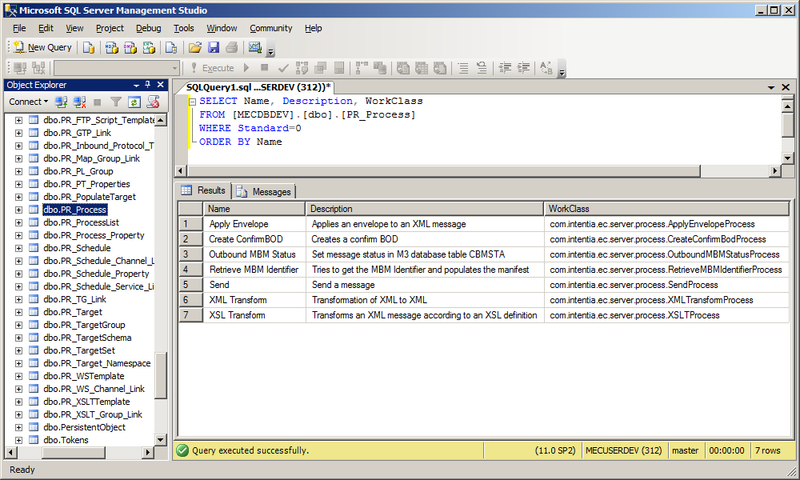 In my example, I send a message to my agreement, that goes through an XML Transform with my mapping, the output of that is sent to example.com, and the HTTP response of that is archived. 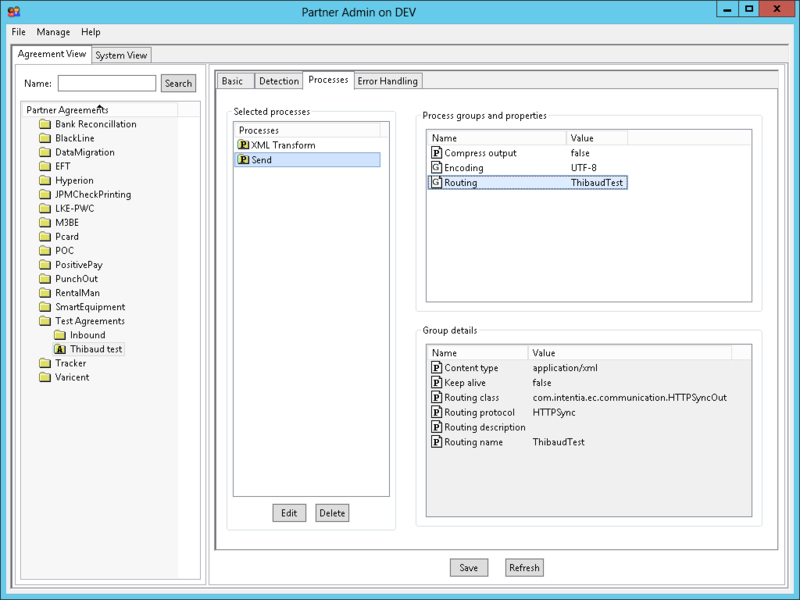 One problem with the Send Web Service is the URL, user, and password are hard-coded in the agreement, and I do not know how to un-hard-code them; I would like to use an external property instead. We have many agreements, and several environments (e.g. 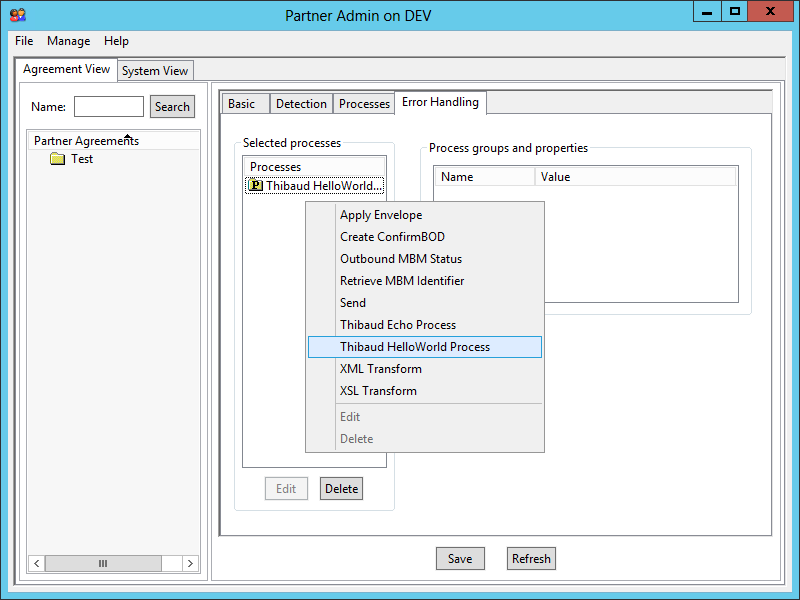 DEV, EDU, TST, PRD) each with its URL, user, and password. 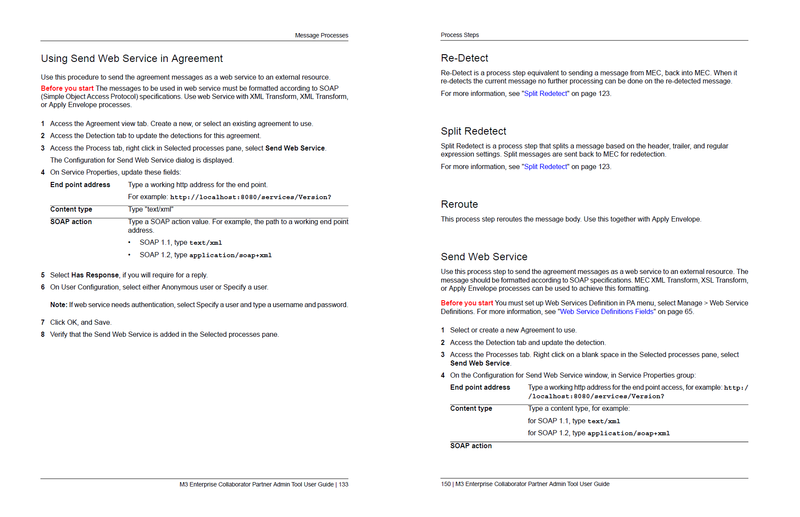 When we migrate the agreements to the other environments, we have to manually update each value in each agreement, it is a maintenance nightmare. Note: Use UPDATE instead of SELECT. 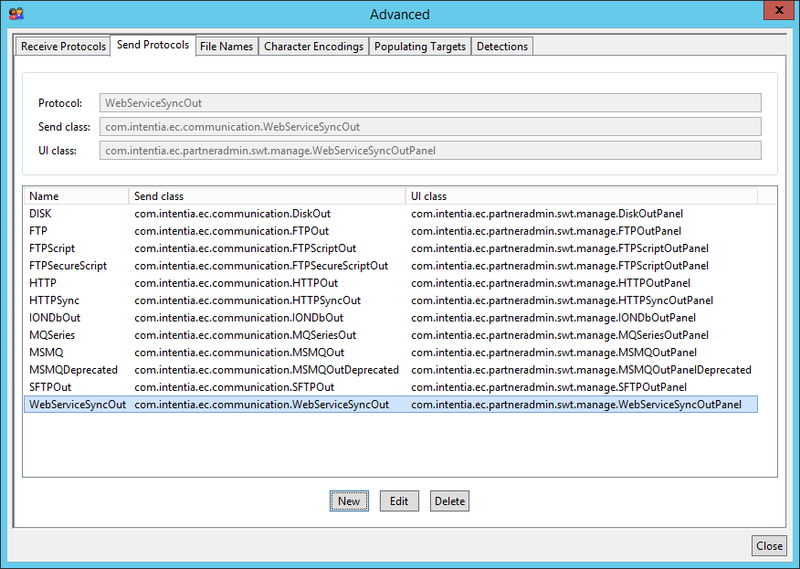 That is my new setup for MEC to do HTTPS outbound. 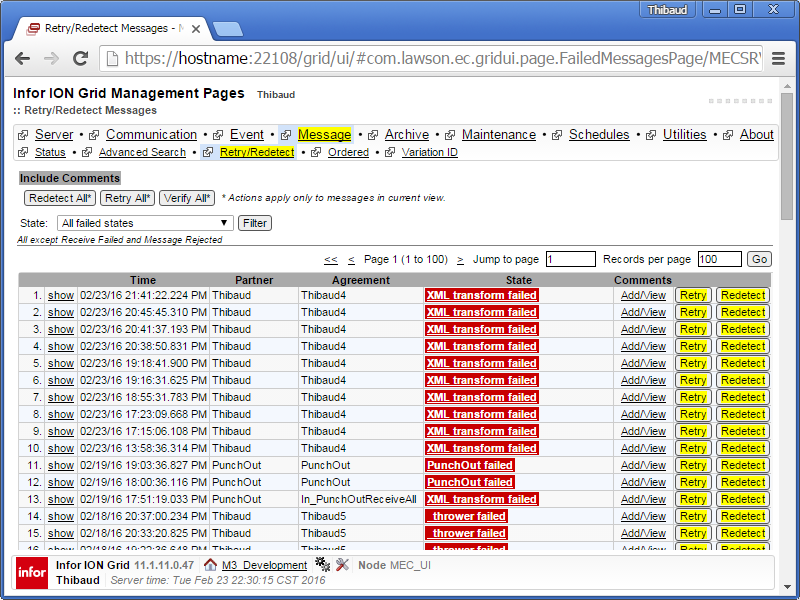 I will re-visit the HTTPSyncIn and HTTPSyncOut communication channels of Infor M3 Enterprise Collaborator (MEC) as a follow-up of my previous posts part 3 and part 6. 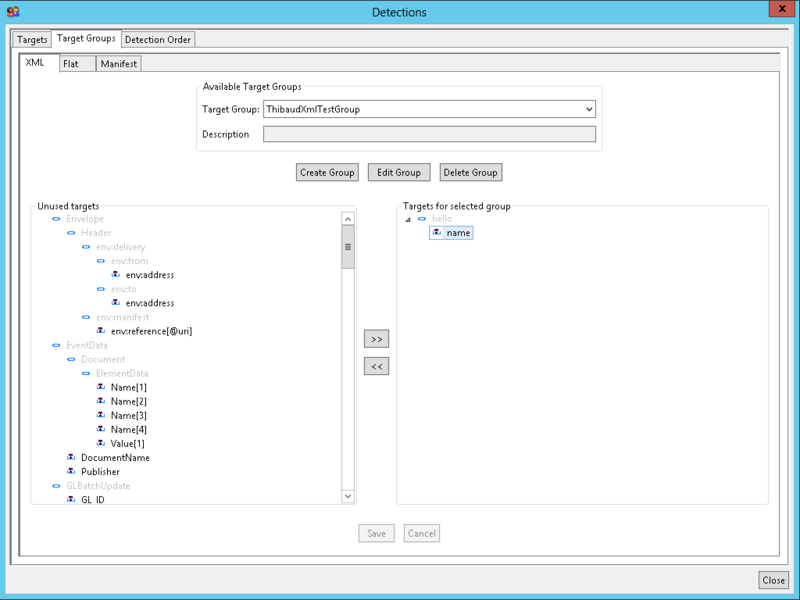 TL;DR: It turns out there is no obligation to use a channel detection, we can use any of the available detections (e.g. 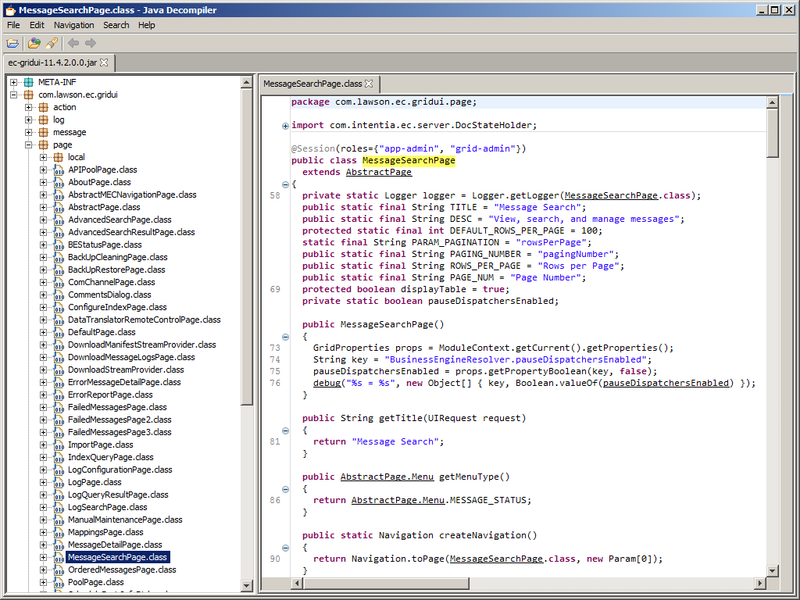 XML detection). 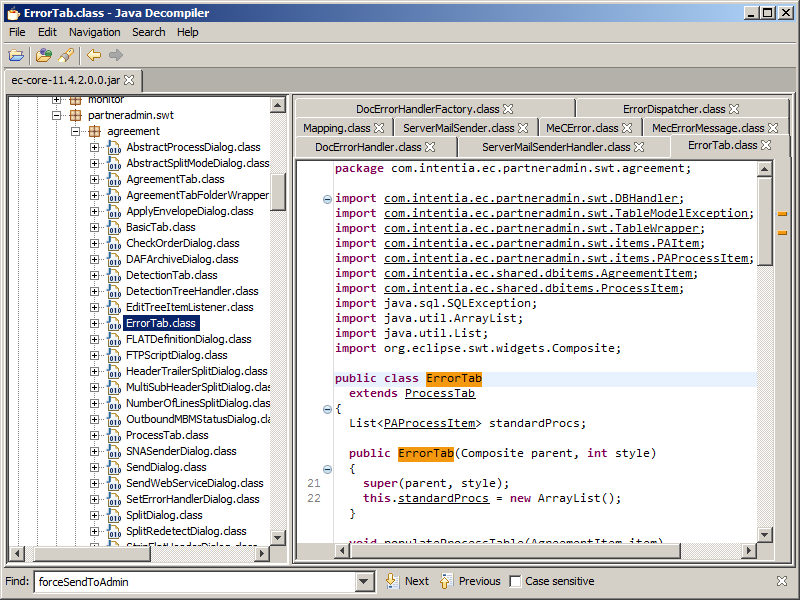 Also, it turns out we can re-use the HTTPSyncIn in multiple agreements (i.e. 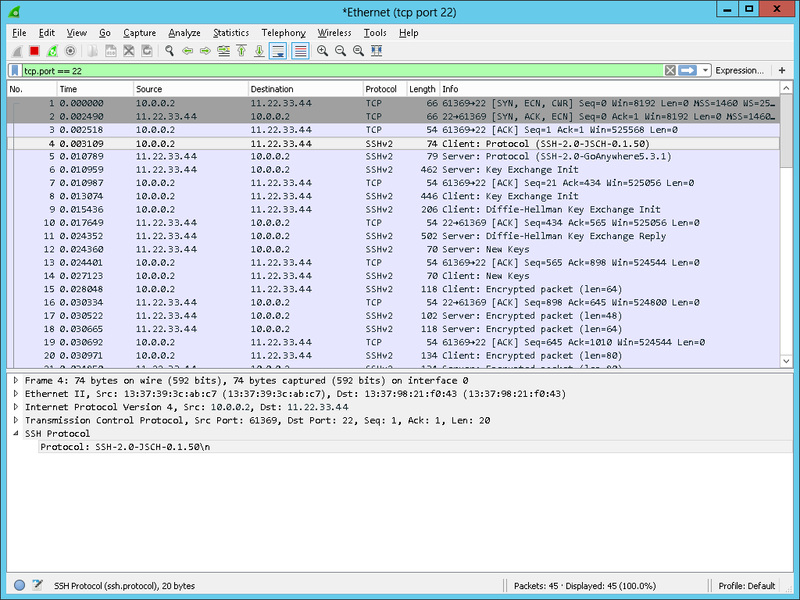 shared port). 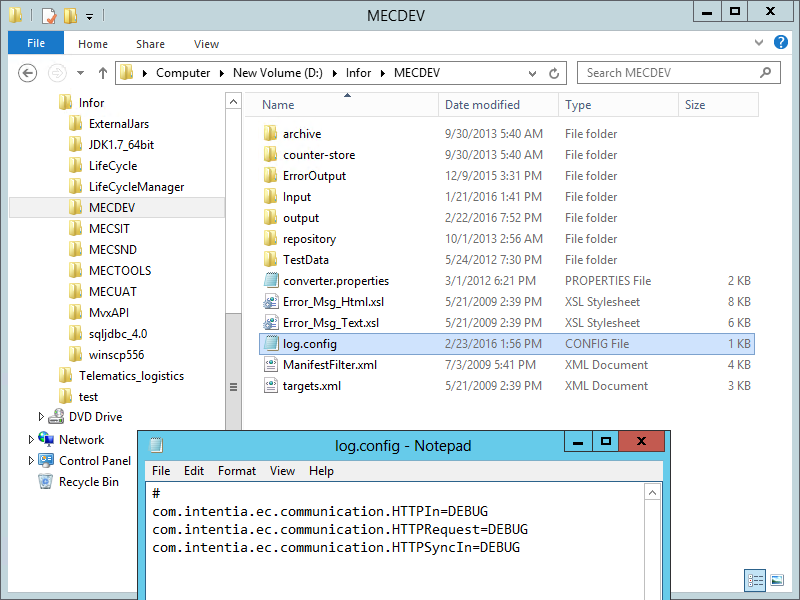 In part 3, I showed how to use the HTTPSyncIn and HTTPSyncOut channels for MEC to receive documents over HTTP (instead of traditionally FTP). 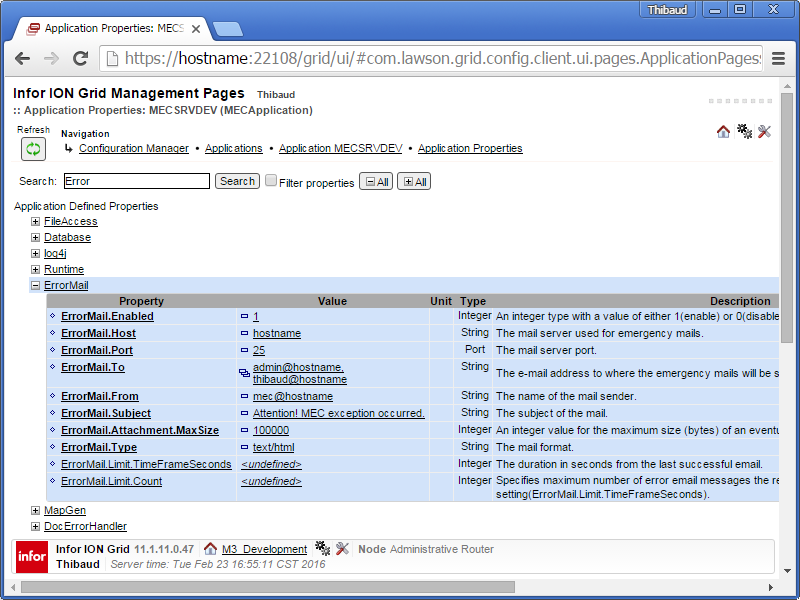 And in part 6, I showed how to add nginx as a reverse proxy with TLS termination for MEC to receive the documents securely over HTTPS (encrypted). 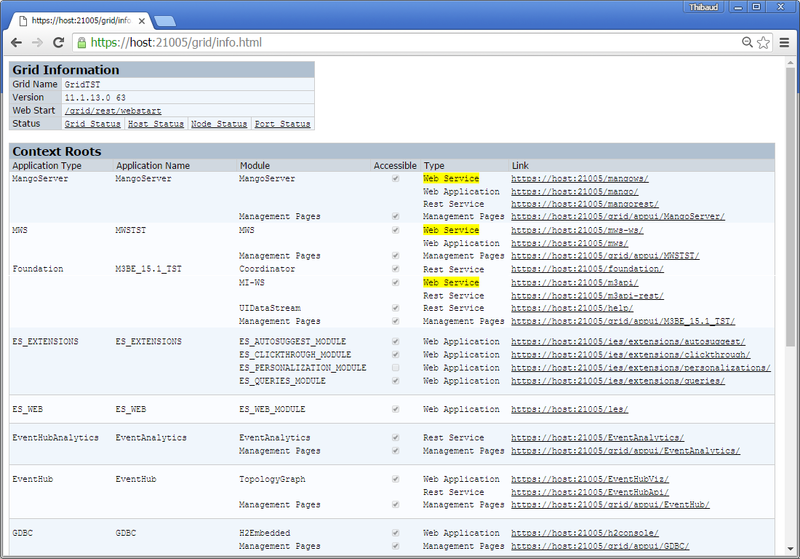 As a workaround, I had to setup one HTTPSyncIn per agreement, i.e one port number per agreement. 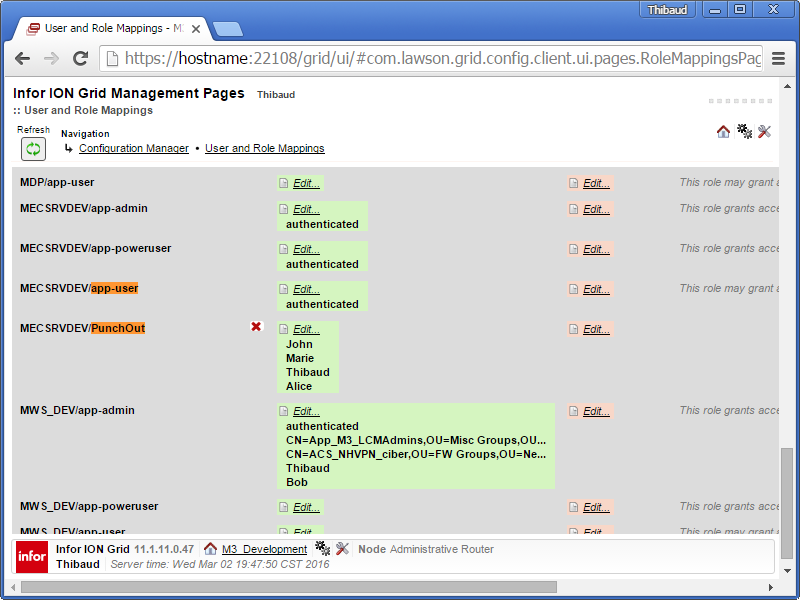 It is feasible (a computer has plenty of ports available), but in the configuration of nginx I had to setup one server block per agreement, which is a maintenance nightmare. 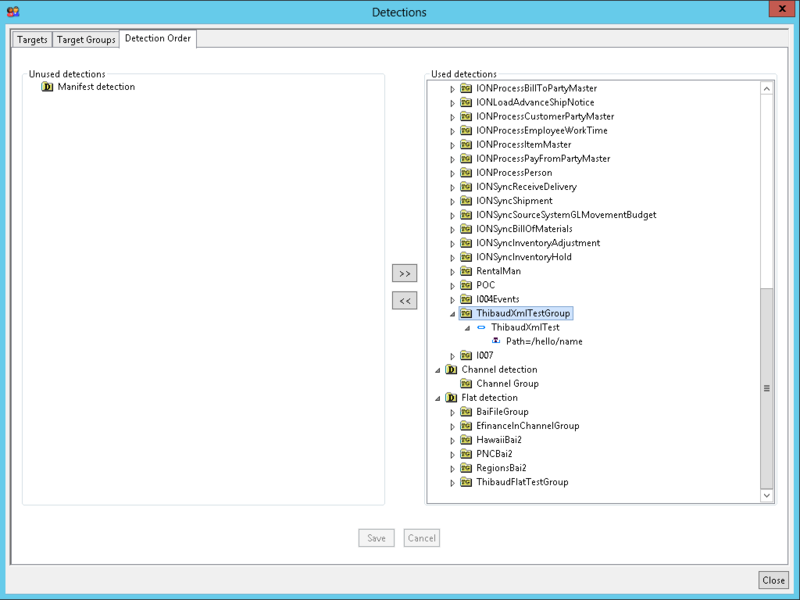 That means I do not have to use a channel detection in the agreement, I can use any of the other detections, such as XML or flat file detection. Setup as many agreements like that as needed. 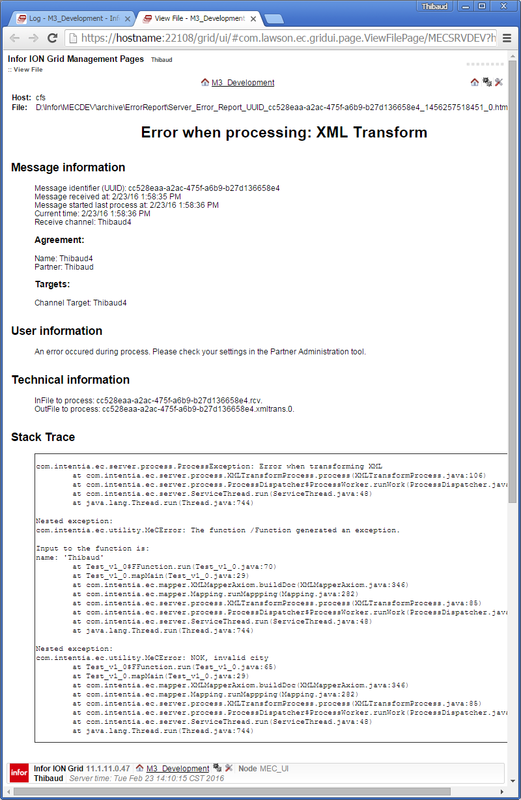 Those were my latest findings on the easiest way to setup HTTPSyncIn in MEC to receive HTTP(S) when having multiple agreements. My previous recommendation to use one channel (one port) per agreement does not apply anymore. Everything will go through the same port, will be persisted and queued, and MEC will iterate through the detections to sort it out and process. I do not know if there are any drawbacks to this setup; for future discovery. Let me know what you think in the comments below, click Like, click Follow to subscribe, share with your colleagues, and come write the next blog post with us. 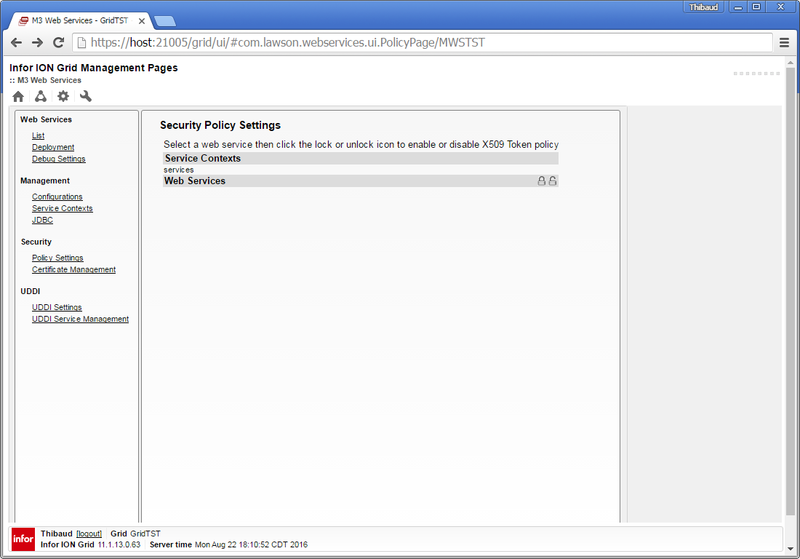 Here is my high-level understanding of SOAP Web Services Security (WS-Security, or WSS), at least the WSS X.509 Certificate Token Profile, and how to apply it in the context of Infor M3. WS-Security is a standard by the OASIS consortium to provide message encryption and digital signature, the usual security properties to prevent eavesdropping and tampering of a message. It uses asymmetric cryptography with public-private keys and digital certificates. There is an additional property which is central to WSS: the security happens at the message level, not at the transport level, i.e. the security follows the message even across proxies and deep packet inspection gateways, for end-to-end security. 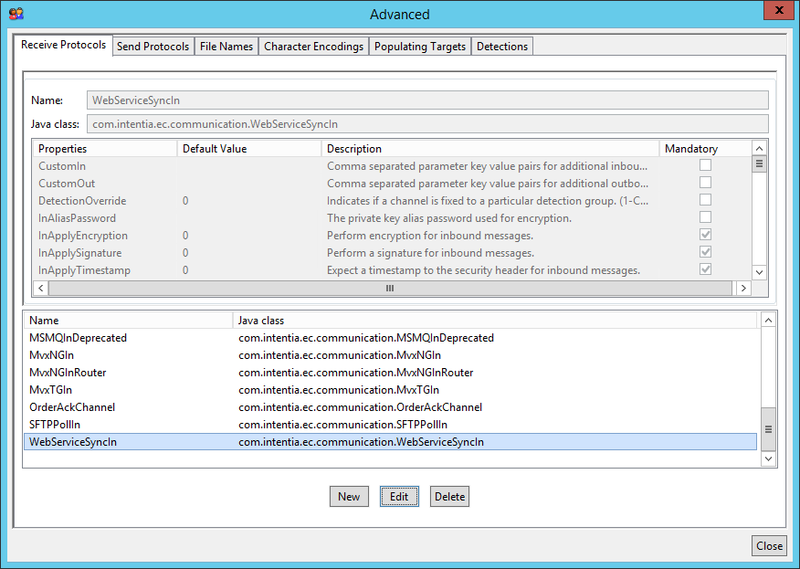 WSS is common for example in financial institutions that need to inspect and route a message through several nodes that can read the non-secure part of the SOAP envelope yet not reveal the secret in the message, until it reaches the appropriate destination. 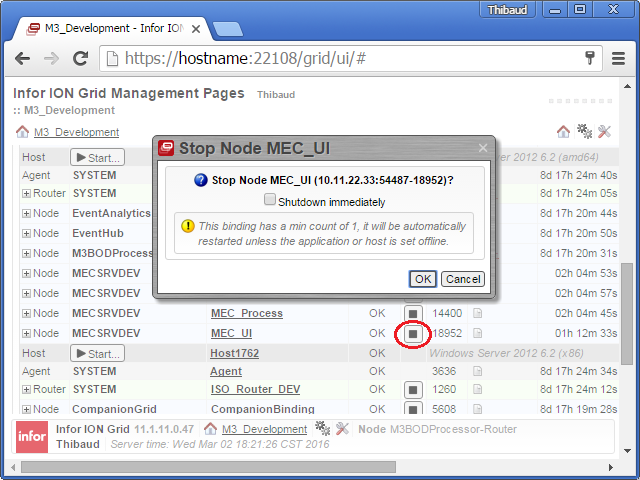 If a node on the path gets compromised, the security of the message is not compromised. Despite its continued use, WSS has only had few major updates in 10 years, is not considered secure  , the Internet agrees it is complicated and design-by-committee, and there is no industry momentum behind it. SSL/TLS, on the other hand, provides similar security properties with encryption and digital signature, using public key cryptography as well, but the security happens at the transport level, i.e. before the message level, for point-to-point security only. Thus, intermediate proxies and deep packet inspection gateways are unable to reveal the message to inspect it and route it, unless they have a copy of the destination’s private key. The workaround is to setup a chain of TLS segments, but the compromise of a node on the path, would compromise the message. 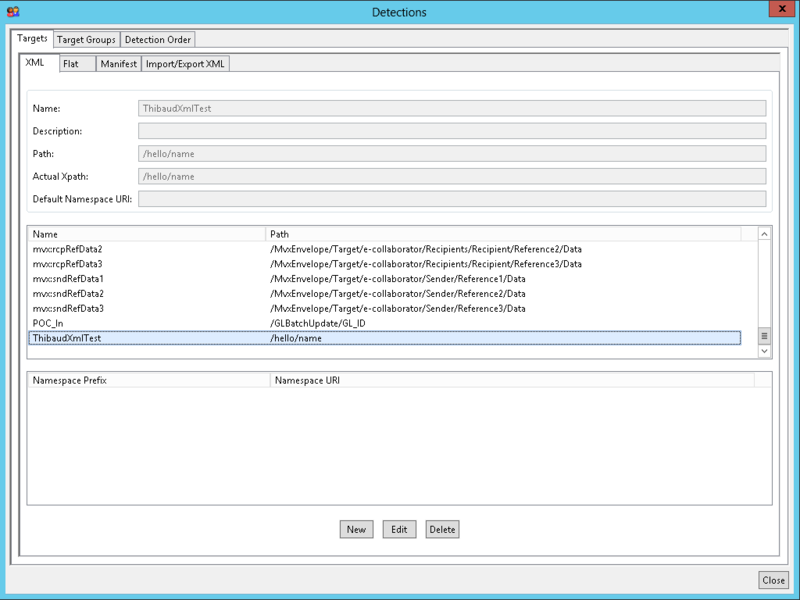 TLS has additional security properties such as cipher suite negotiation, forward secrecy, and certificate revocation. 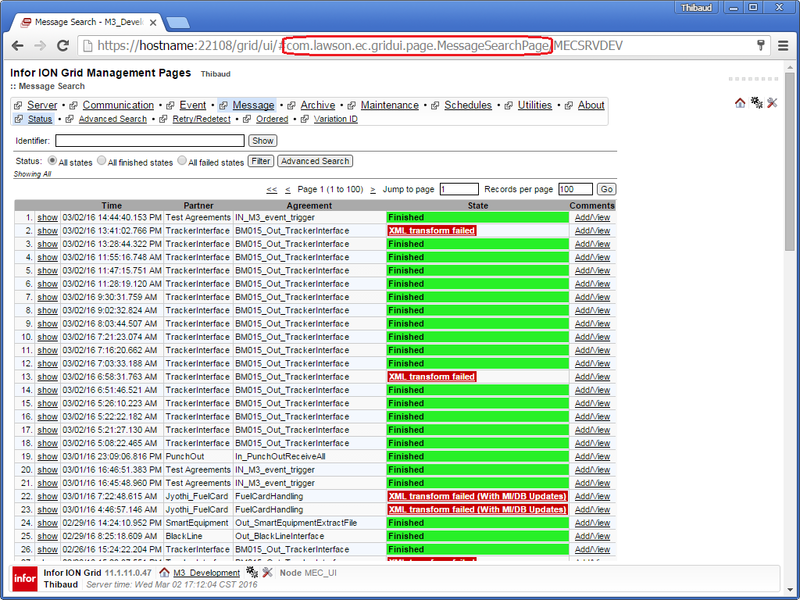 TLS is constantly being updated with the latest security properties, and is widely supported and documented. I have seen WSS interfaces used at banks and credit card companies that still have ancient mainframes and old middleware, and WSS is always used in combination with TLS, with peer authentication, thus four sets of public/private keys and digital certificates. 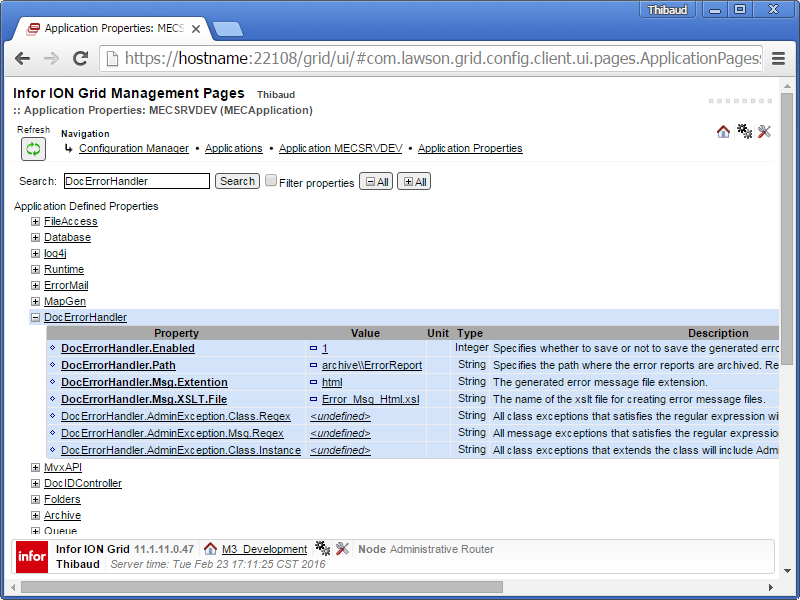 Several applications of the Infor Grid expose SOAP web services, but I could not find how to setup WS-Security at the Grid level, so I assume it is not supported at the Grid level, only at the application level; that’s OK as SOAP over HTTPS is sufficient for the Grid’s needs. That was my high level understanding of WS-Security, at least the WSS X.509 Certificate Token Profile, and how to apply it in the context of M3. 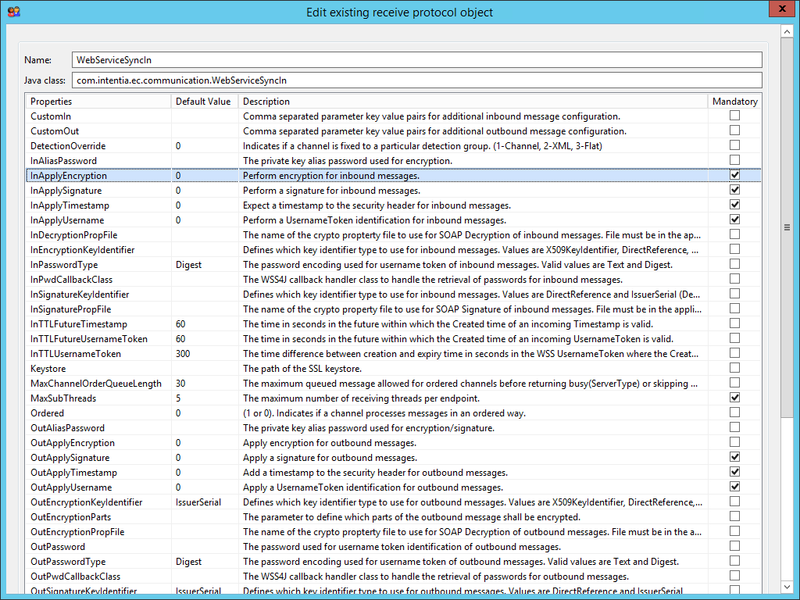 I am no expert in WS-Security, but this understanding is sufficient for my needs with M3. Please subscribe, comment, like, share, and come author with us. 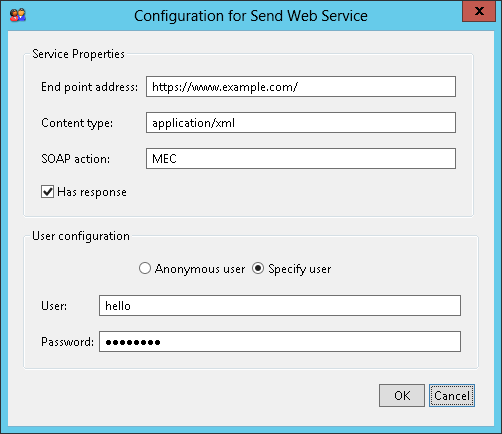 Here is a primer on how to invoke SOAP web services from Infor M3 Enterprise Collaborator (MEC) using the Send Web Service process, where MEC is the SOAP client calling SOAP servers. 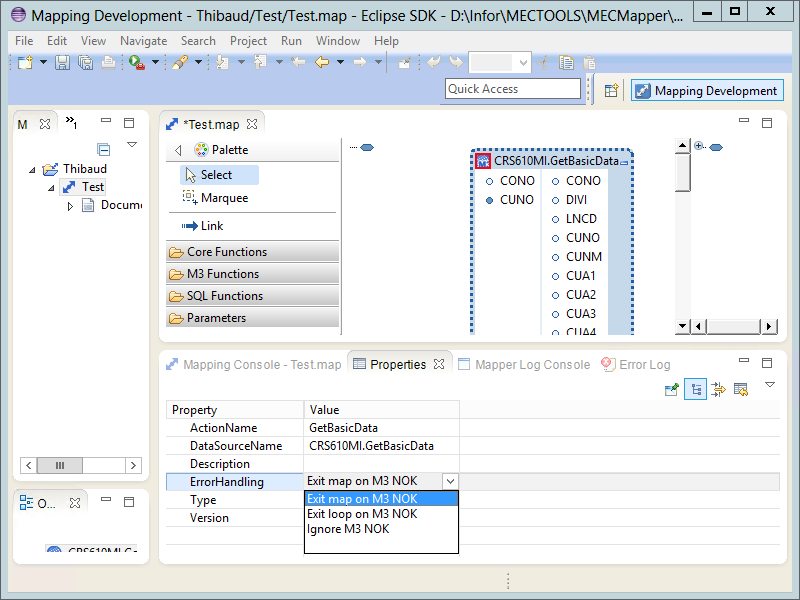 I am using MEC version 11.4.3. 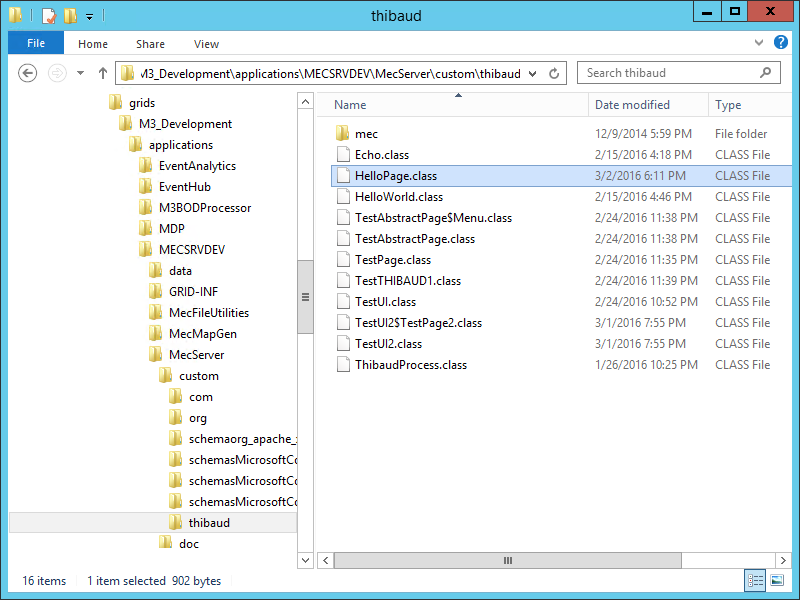 The MEC training workbook does not have information either. 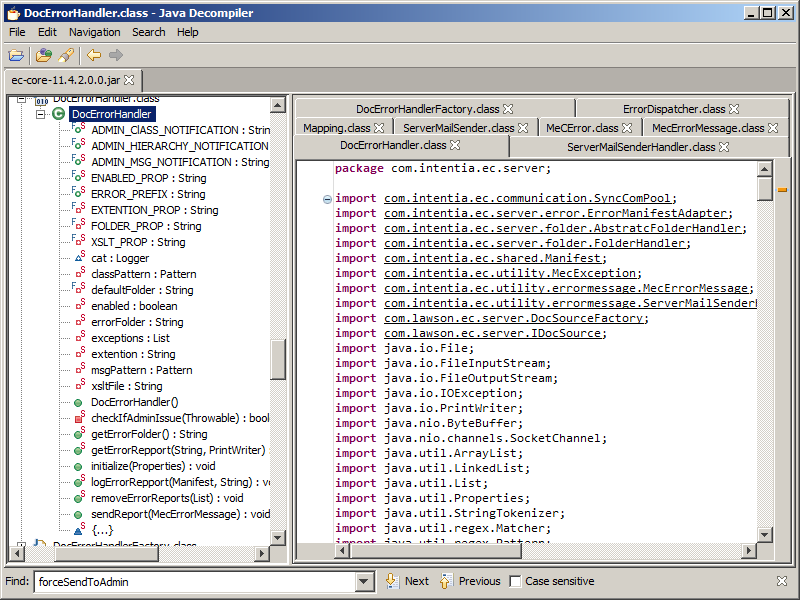 Consequently, this process does no more than the HTTPOut process albeit the additional SOAP action property. Anyway, let’s give it a try. 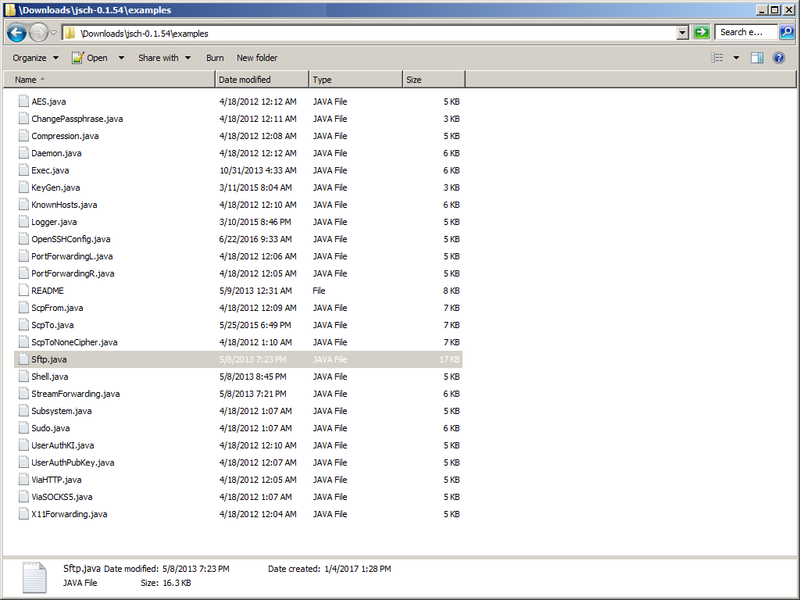 I have a sample web service from TMW SystemsLink, a Transportation Management Software. It is available on my customer’s network. 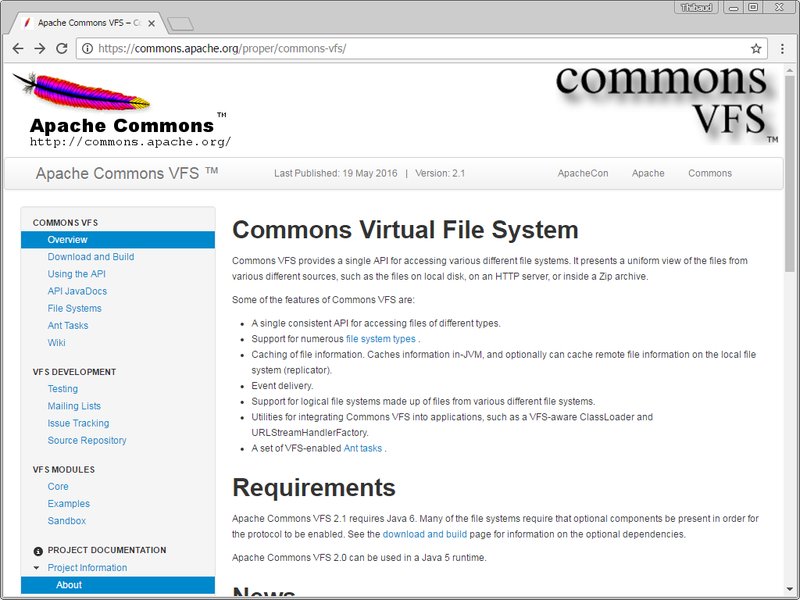 It is only setup for HTTP (not HTTPS), without authentication, thus it is insecure, but it is easy for illustration purposes. 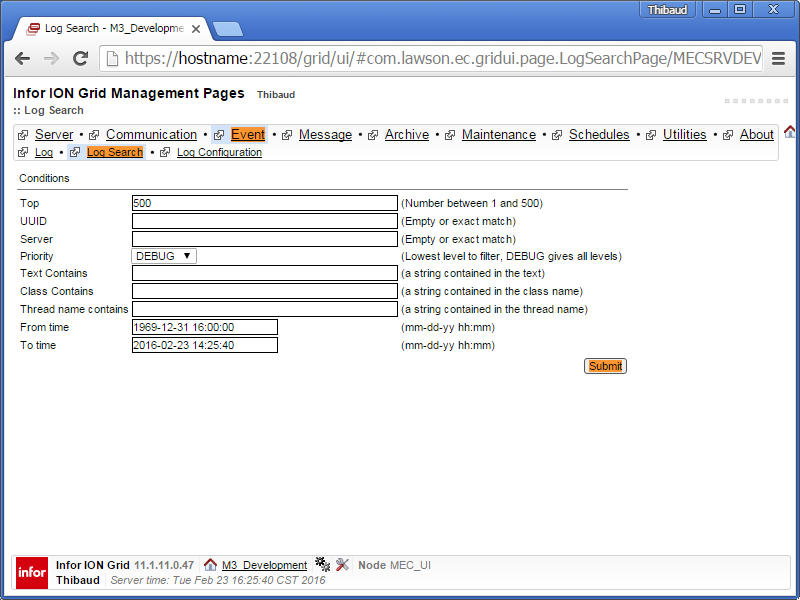 Then, I add a simple detection such as the default DiskIn, I reload the communication channel in the MEC Grid Management Pages, I create a file with the sample SOAP request, I drop the file in the DiskIn folder, I wait for MEC to process the file, and I check the result; the usual steps in MEC. 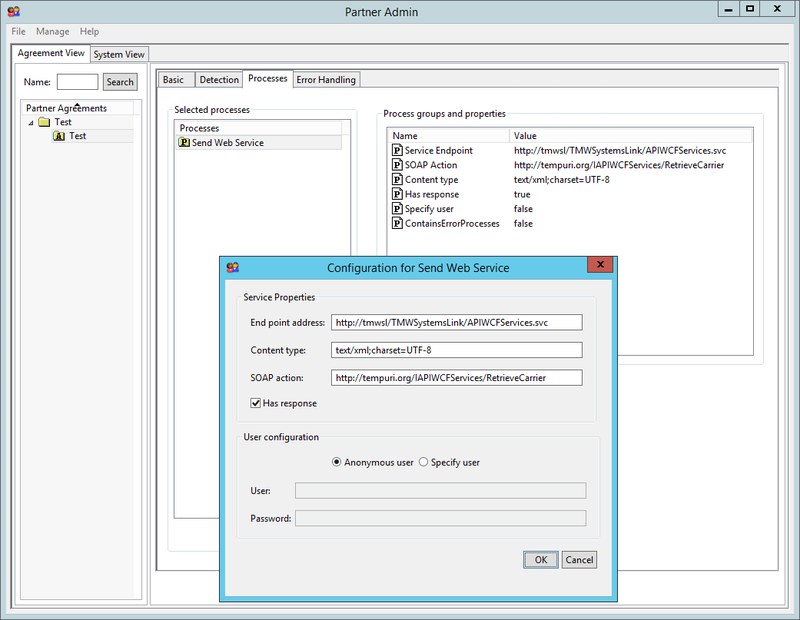 At this point we can use Partner Admin and MEC Mapper to transform an M3 MBM and generate the SOAP request, we can process the SOAP response, etc. 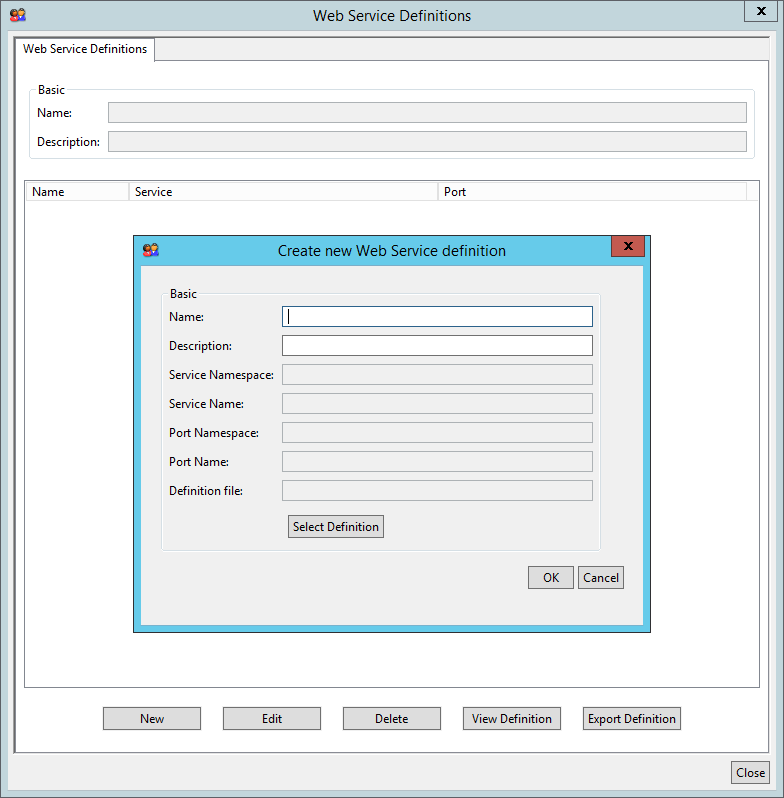 That was an illustration of how to call SOAP web services from Infor M3 Enterprise Collaborator (MEC) using the Send Web Service process, for MEC to be a SOAP client calling SOAP servers. 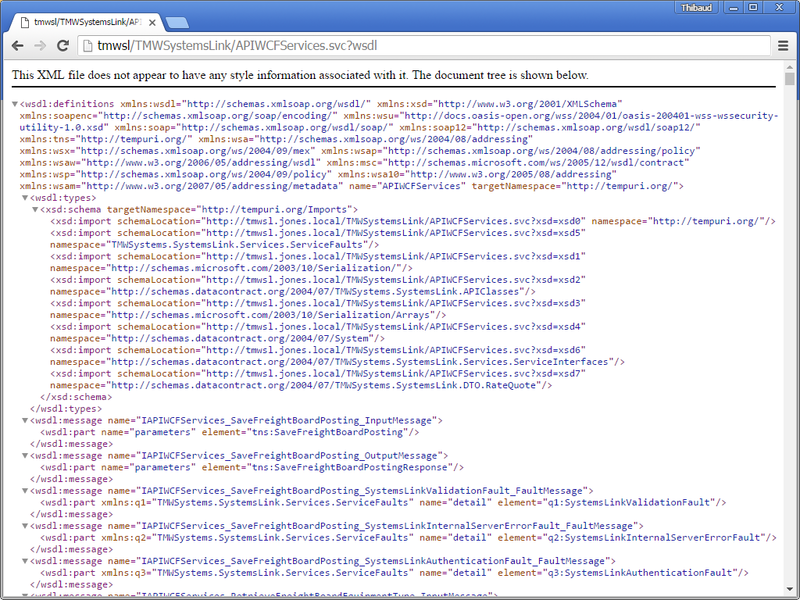 Despite “Web Service” in its name, the process is deceitfully not very SOAP oriented, but we can manage with it. Please leave a comment, click Like, click Follow to subscribe, share around you, and come write the next blog post. 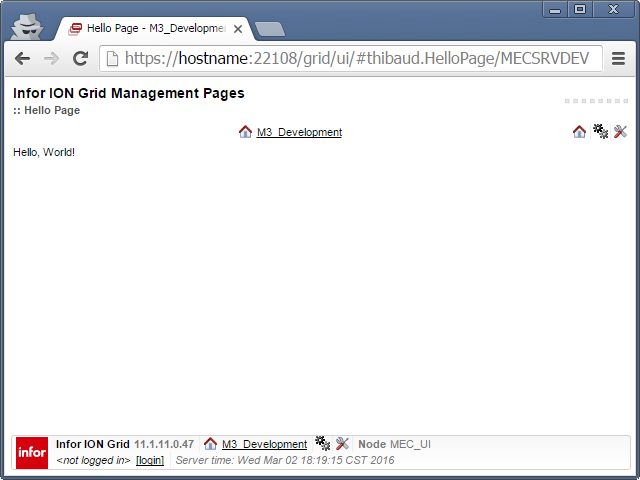 Here is how to create a custom user interface for M3 Enterprise Collaborator (MEC) in the Infor Grid. 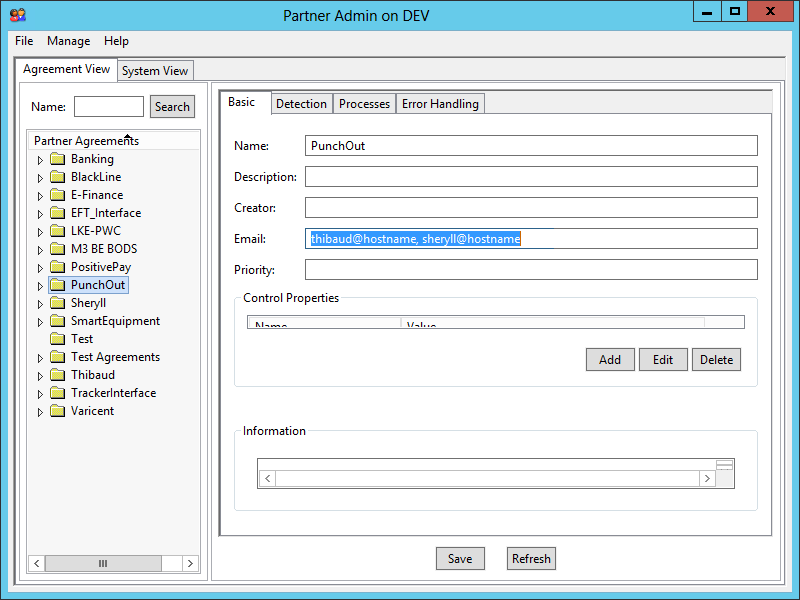 At my current customer, users create purchase orders like this: a buyer creates a purchase order in PPS170/PPS200, then M3 sends an MBM document to MEC, and then MEC sends a cXML PunchOut OrderRequest to the supplier. 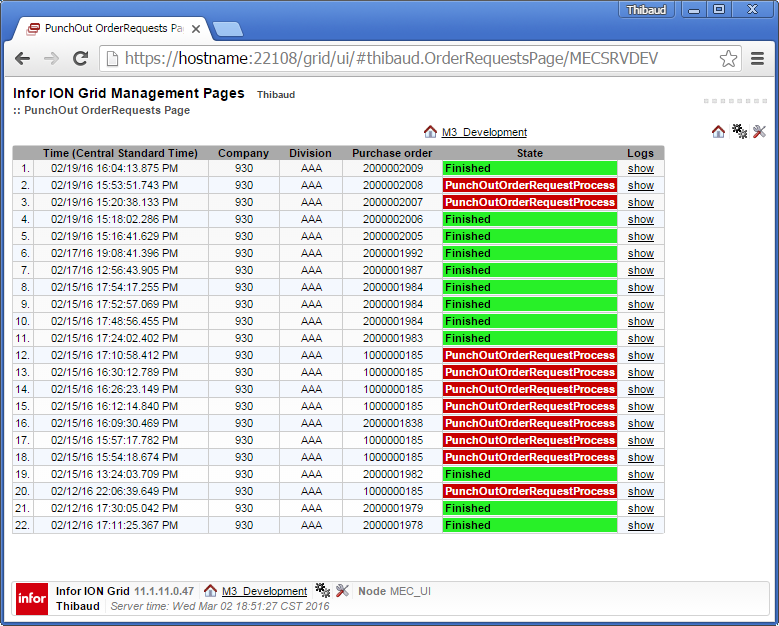 For some reason PPS200 does not allow changing the status of an order then, so MEC cannot give feedback to the buyer that the supplier acknowledged the order or that there was an error, i.e. the buyer does not know the outcome. 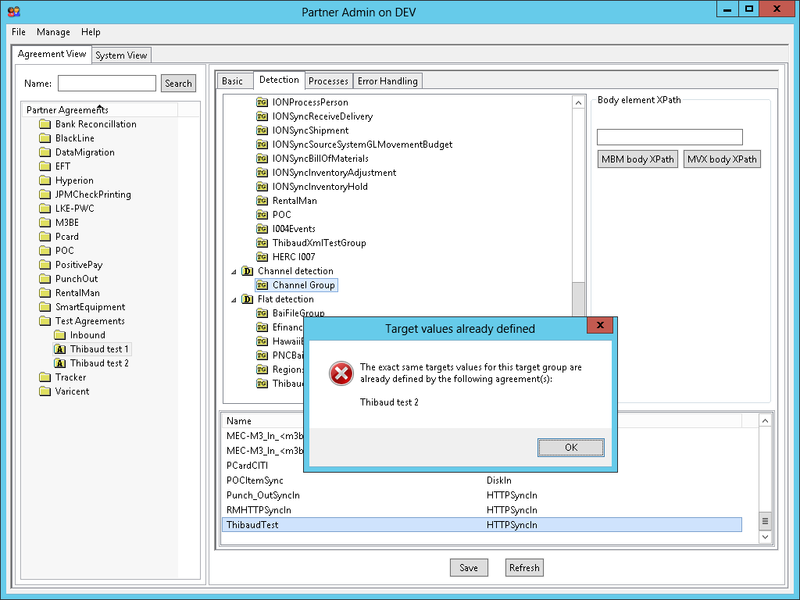 The workaround is to setup error handling to have MEC send an email to an administrator in case of error, and the administrator to tell the buyer. But it is a poor design because it is a negative goal – it informs the user only in the absence of acknowledgment – it is a weak link – the administrator may or may not inform the buyer – and it is reactive, not pro-active. 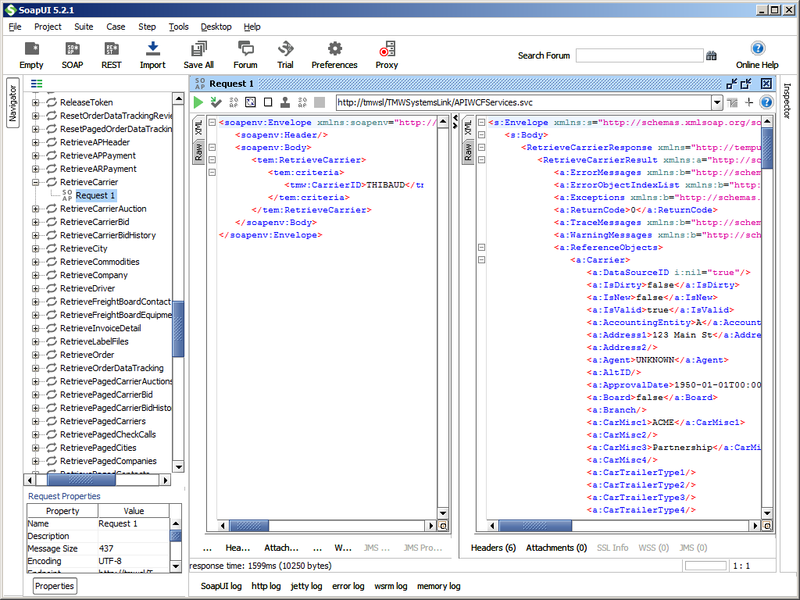 Instead, I will build a custom page that shows the status of the outgoing purchase orders in MEC, with timestamp, company CONO, division DIVI, and purchase order number PUNO, I will give access to M3 users, and I will place it as a shortcut in PPS200. It will be a useful feedback loop for end-users. It is not as tight a loop as I would like it to be, but at least buyers will be able to verify the status of their orders on their own. That was a solution to develop custom UI pages for MEC; for example in my case a page for buyers to see the status of the outgoing purchase orders, with timestamp, company CONO, division DIVI, and purchase order number PUNO. It is a simple solution to provide feedback to end users so they can be pro-active and verify the outcome of their actions on their own. Thanks for reading. Leave us a comment in the section below. And if you liked this, please subscribe, like, share, and come write the next blog post with us. 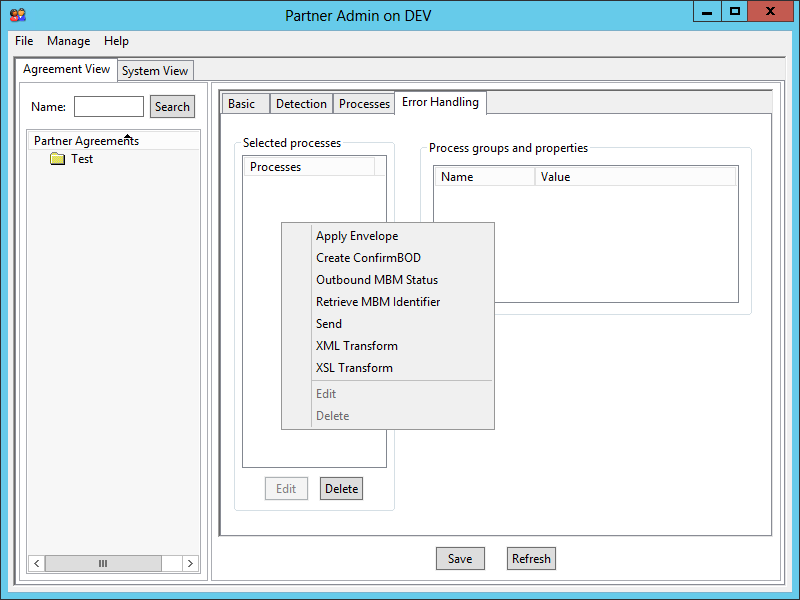 Here are several ways to handle errors in Infor M3 Enterprise Collaborator (MEC). This is sufficient for MEC administrators to troubleshoot. 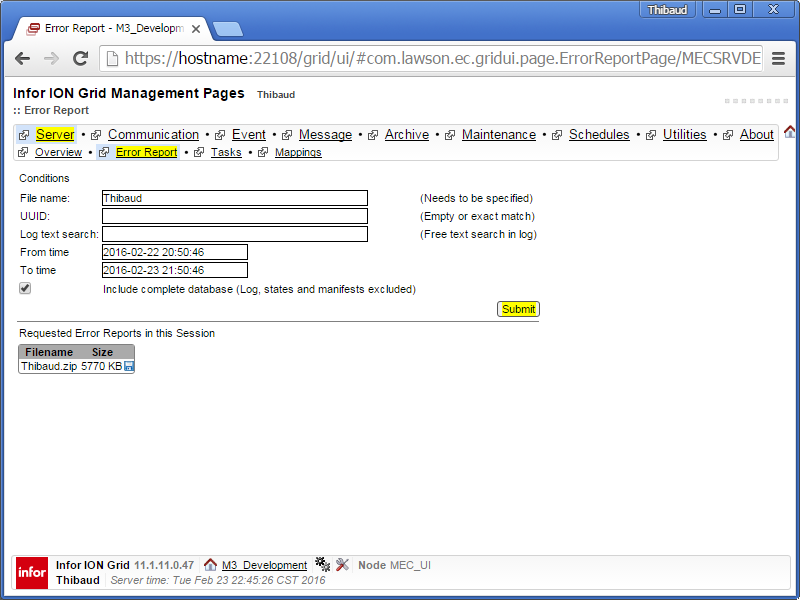 But only users with the app-admin or grid-admin roles have access to this, and this is unannounced, so nobody will know there was an error unless somebody looks. 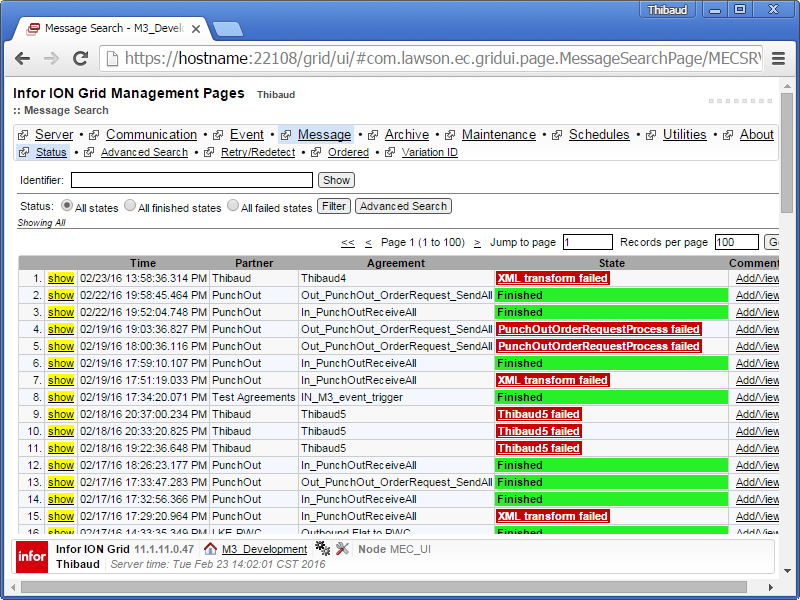 This shows many more details than the message detail page, most interestingly the DEBUG|TRACE levels, and the Java stack trace. 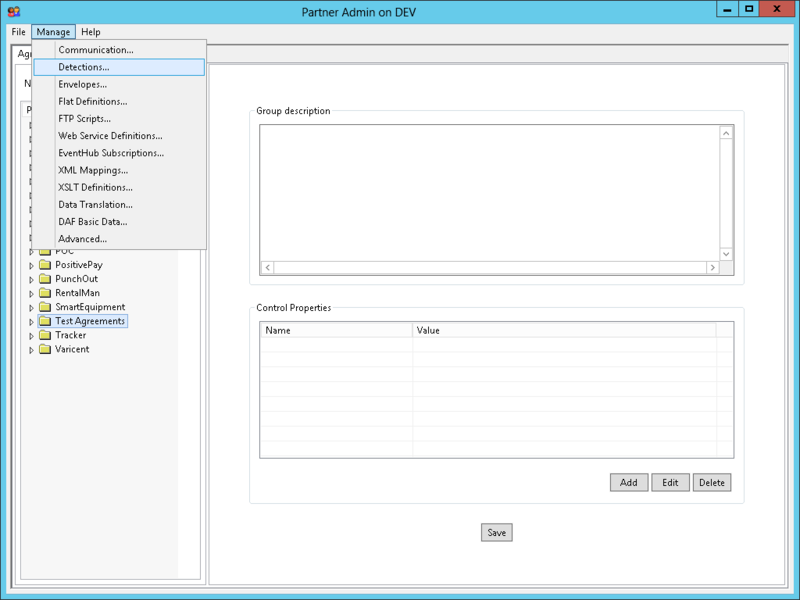 This is good to automatically notify administrators in case of errors, and it is great for deputies that don’t have the administrative privileges. But the recipients risk receiving too many emails and becoming desensitized, resulting in the opposite intention. This is good to delegate administration to the respective deputies of each agreement, instead of spamming the MEC administrators. 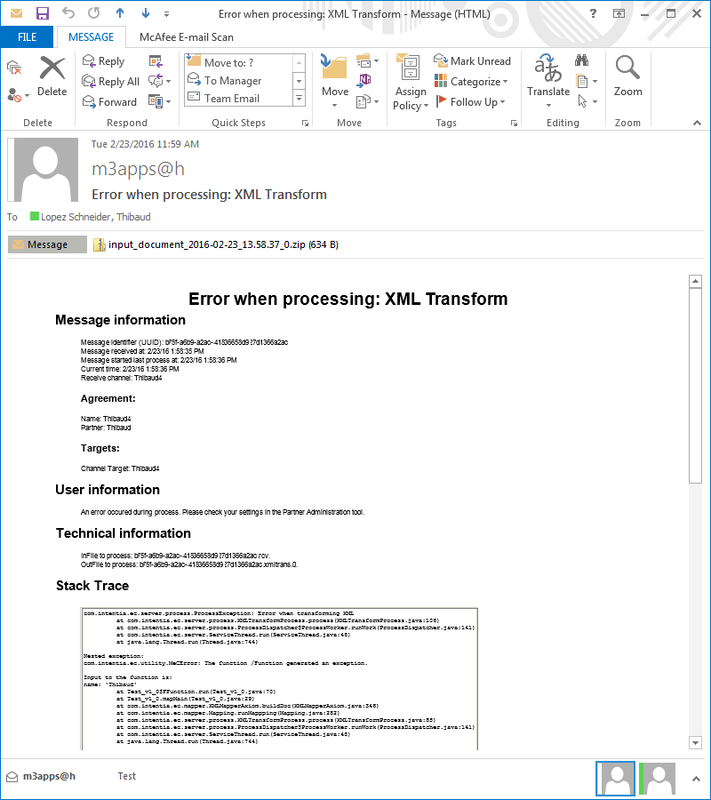 If our mapping calls an M3 API and the API responds with an error, or if our mapping throws an exception, by default the mapping will stop and will call sendMail() to bubble up to the error report. 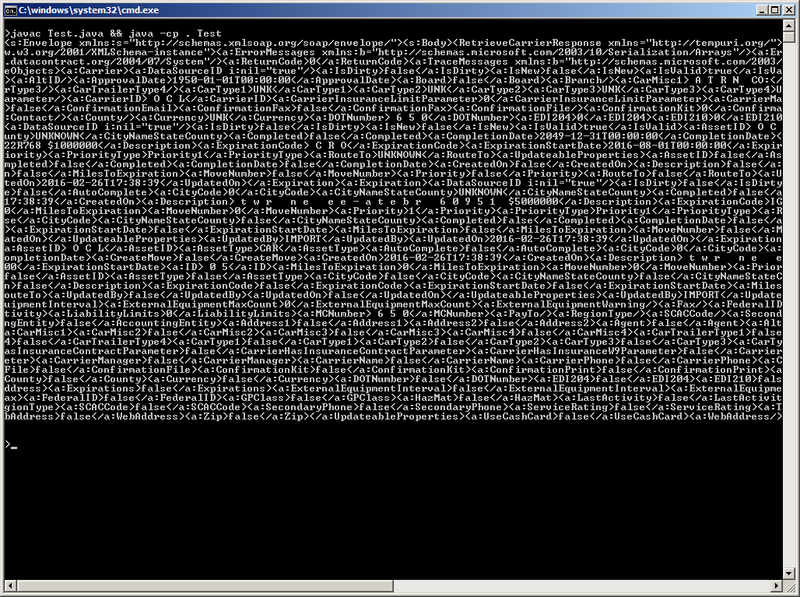 All this to attempt recovering from errors, and to do our own error handling. 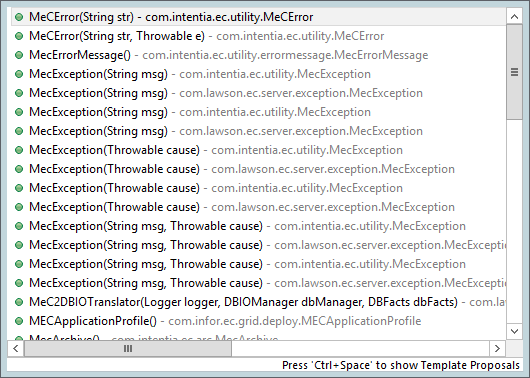 Note: Sometimes it is desirable to produce a specific error output. 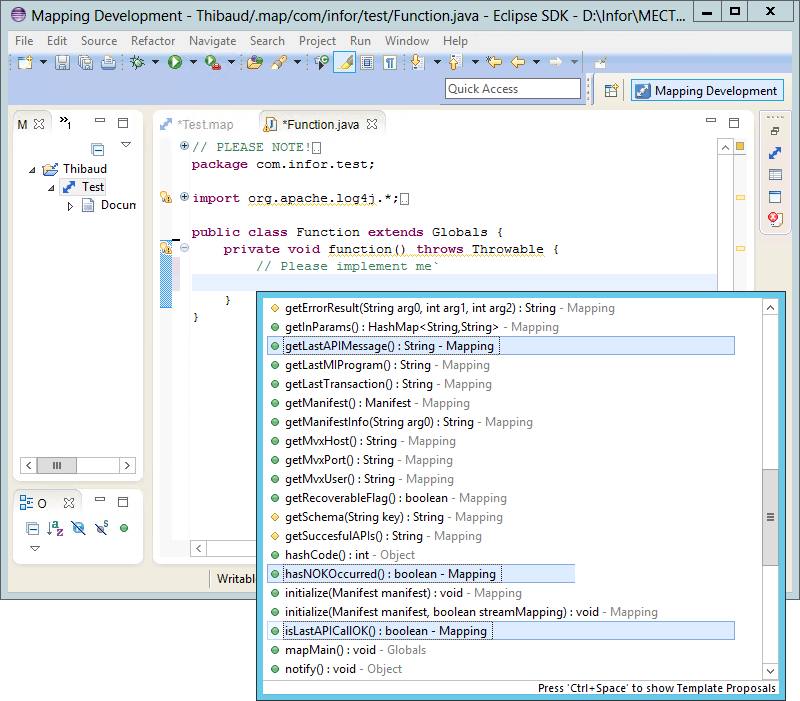 However, mappings are unable to produce an output other than the XML schema they were designed for, i.e. 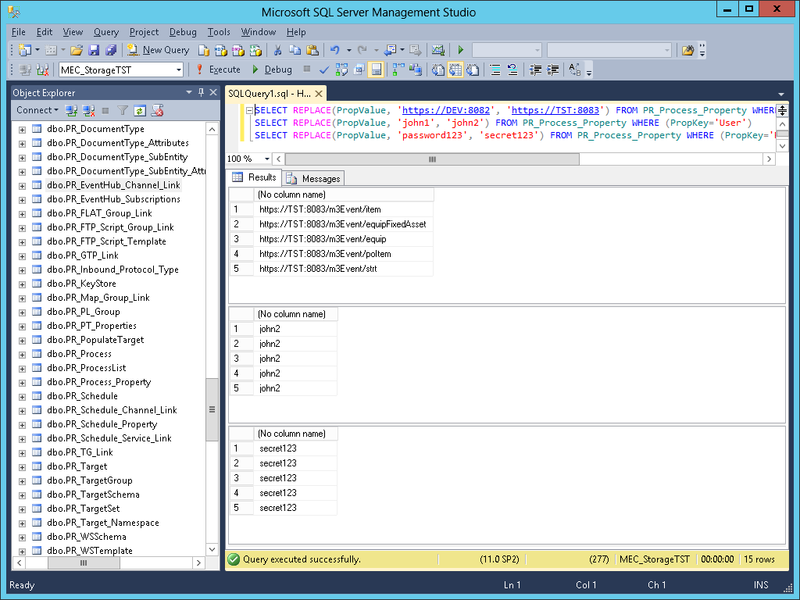 there is no secondary schema we can output in case of error. 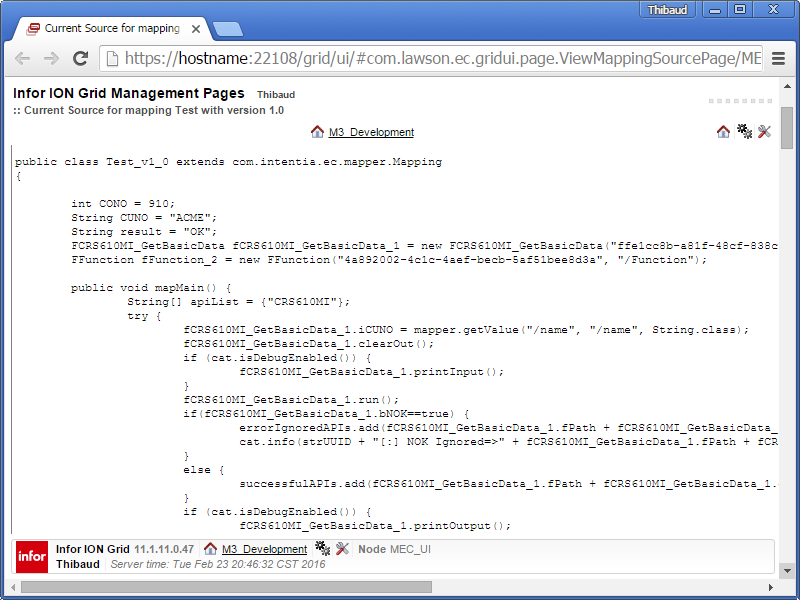 The workaround is to do the error handling offline, e.g. 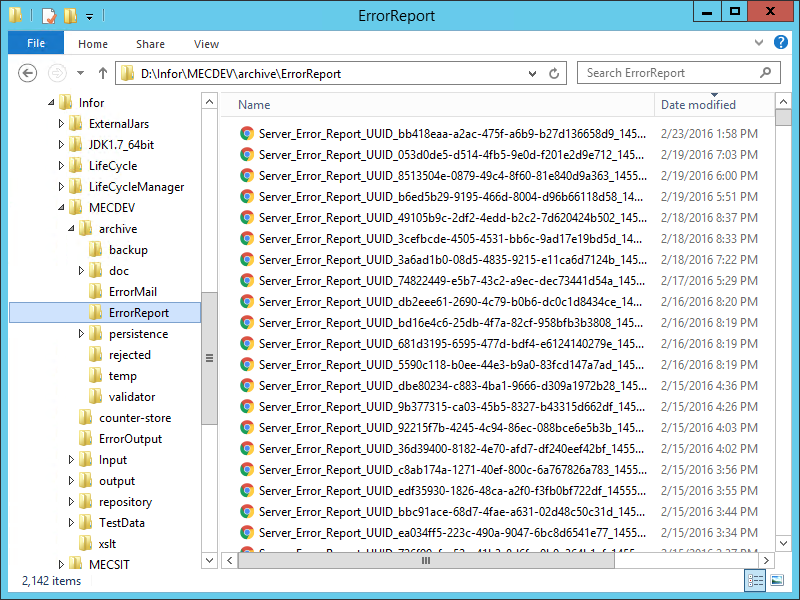 build a custom error report and send it in a custom email. 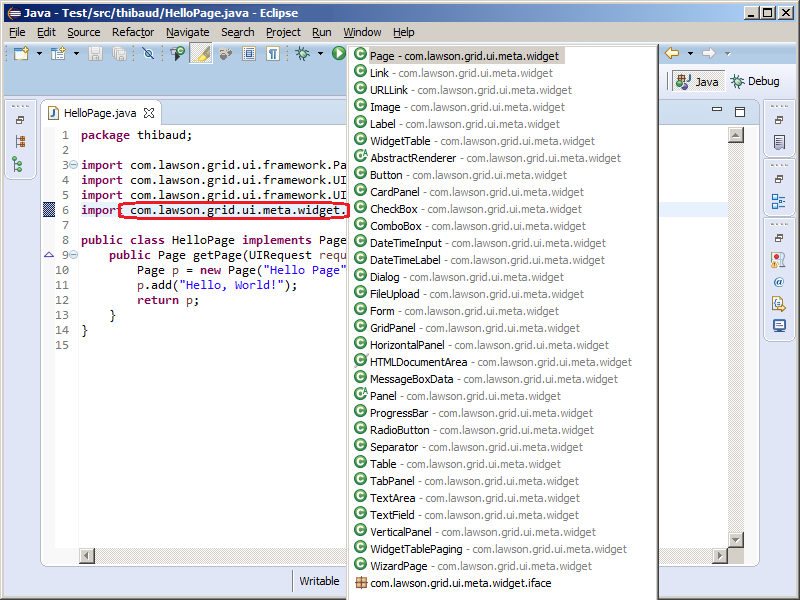 We can analyze the corresponding Java classes to understand what they do; they seem to made for peculiar requirements. 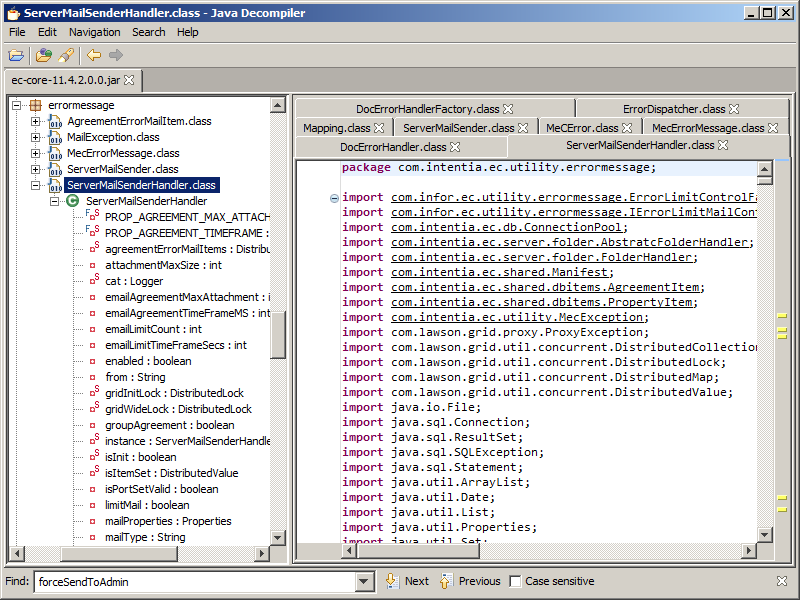 In the DocErrorHandler properties, there are some AdminException regex properties such that if an exception matches the regex, the DocErrorHandler will send the error report to both the email addresses set in the ErrorMail, and the email addresses set in the agreement. To be tested. Thanks for reading. If you liked this, please consider subscribing, give a like, leave a comment, share around you, and help us write the next post.